Keeping you up to date with the latest Richie C Disco / Music & Entertainment News. 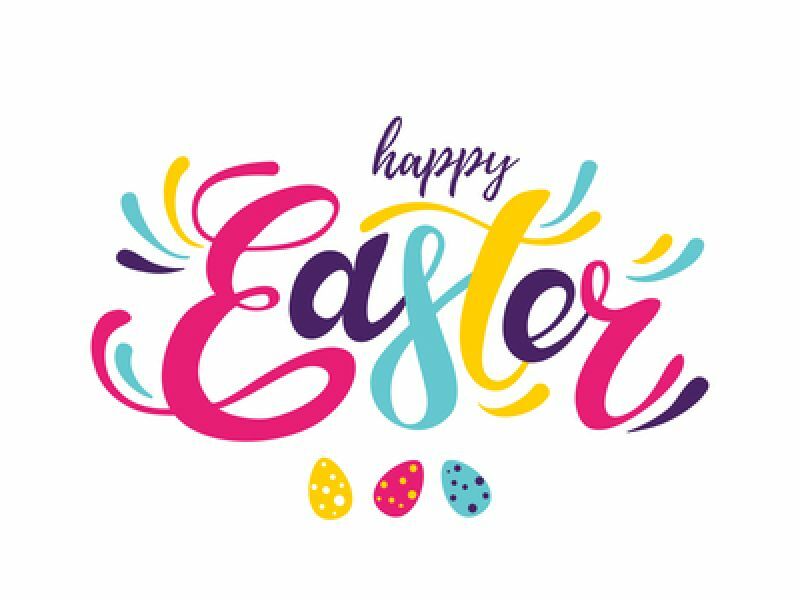 Whatever your plans are this Easter weekend, we hope you are able to have a nice break. The weather forecast is looking perfect! It was such a beautiful spring day yesterday and we had a Wednesday Wedding at the lovely Chilston Park Hotel. It is always a pleasure to work at this stunning venue! Here we are in April already! 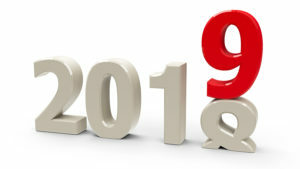 It’s hard to believe we are a quarter of the way through 2019. We were busy last week with a few School Discos before the holidays started. Over the weekend we had Birthdays all the way with a 14th Birthday, 50th Birthday and a joint 60th/65th Birthday. Coming up this weekend we have a 21st Birthday, 50th Birthday and a 70th Birthday. We have lots to look forward to in April! 21st Birthday Party - We booked Richard for my daughter's Birthday . After arranging the party at fairly short notice we were very lucky to have Richard recommended to us. I can honestly say that from that first contact with him, I have never met anyone so friendly and helpful. Our guests had a great time and thoroughly enjoyed themselves. We gave him a rather long list of songs that we wanted played and to his credit he managed most of them. I certainly wouldn't hesitate to use him again. Thank you Richard. 14th Birthday Party. Thank you so much for a great disco party for the girls on Saturday night. Everyone really enjoyed it. A professional and reliable service from start to finish! 6th Birthday Party - Have used Richie C Disco twice for my kids birthday, with most recent being 17th March. Great service - played requested songs and ran games to entertain the kids and was even able to provide UV lighting for a glow in the dark disco! Definitely recommend and use again, my daughter said it was the best birthday ever! Thanks for making her day. 60th Wedding Anniversary - Thank you so much for the music – it was great and all the guests really enjoyed it. It was a lovely evening. We will highly recommend you. Thanks again. One of our functions this weekend is to celebrate a Diamond Wedding Anniversary. 60 years is such a huge milestone in a marriage! It is always a pleasure to provide our disco service for such a special occasion. It’s always lovely to receive a nice thank you email the day after a function! We really appreciate it when people take the time to give us feedback. Here’s a couple from this weekend. 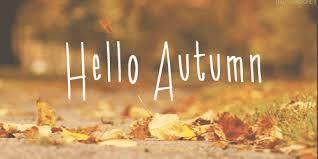 We have recenlty been very spolit with some lovely sunshine and mild weather for the time of year. It'sso lovely to feel like we have a bit of spring in the air. Let's hope it lasts and we have seen the back of winter. Don't want to speak too soon, but fingers crossed! With Awards Season in full flow, the Brit Awards 2019 take place this week. Below is a list of all the nominees. We have recently been getting lots of enquiries for Weddings. If you are planning your Wedding in 2019 or beyond and you are looking for advice or assistance, we will be happy to have a conversation with you to help with any questions you may have when selecting a Wedding DJ. At Richie C Disco we understand the importance of our role and always listen and discuss your likes (and dislikes) in advance to make sure you get what suits your own personal preferences. You can also draw on our experience to ensure everything runs smoothly for you. We ask for all the necessary details to ensure we are able to offer a efficient and completely reliable service. We have worked at venues all over Kent and the South East and there is a good chance we may have worked at your chosen venue before. If we haven't we are always happy to liaise with the venue to ensure we are clear on access arrangements and set up etc. Make the right choice and contact us now to discuss your requirements. Is it really Febuary already? Below is the very latest Top 10 Singles and Album Chart. 5 Post Malone - Wow. It's been Birthday celebrations all the way for us so far this month! They have included a 7th, 13th, 30th and 40th Birthday. Coming up we have a 6th, 11th and another 40th Birthday. 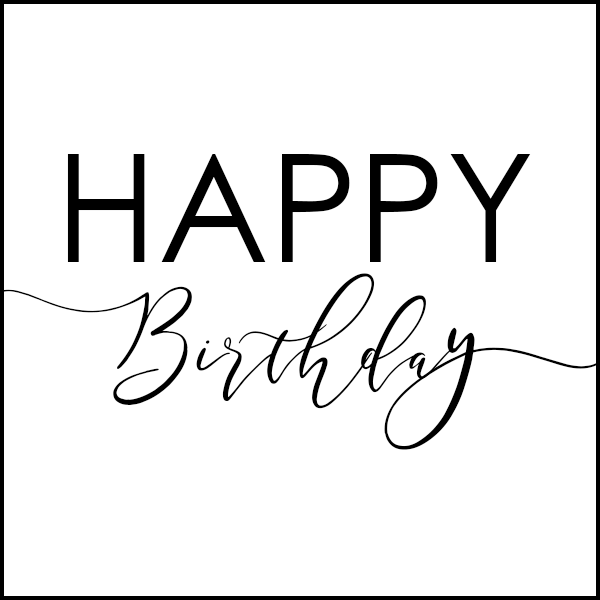 Happy Birthday to everyone who has had a Birthday in January! If you are planning a Birthday celebration or any of kind of party, contact us now to discuss yoru requirements! We are already half way through January and 2019 has got off to a flying start! 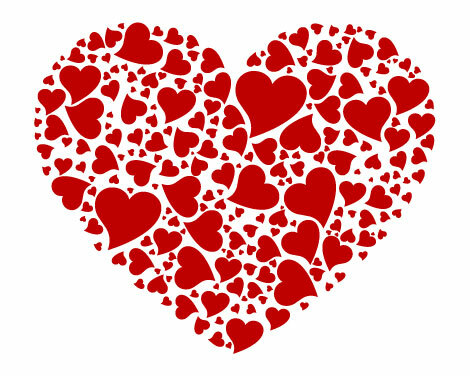 February will be upon us before we know it and with that comes Valentine’s Day! There is so much for us to look forward to! January can sometimes feel like quite a flat time of year, but the fun doesn’t stop for us as we still have plenty of Birthday celebrations to look forward to this month. January is also quite a busy time of year for enquiries as everyone starts to make plans for the year ahead. Happy January everyone! Happy New Year to you all! Thank you to everyone who booked with us in 2018 and we look forward to a great 2019! After a few days off we are back on the road this evening. Then it’s time for our team to get ready for all our New Year celebrations! 2018 has been a very busy year and it has just flown by! 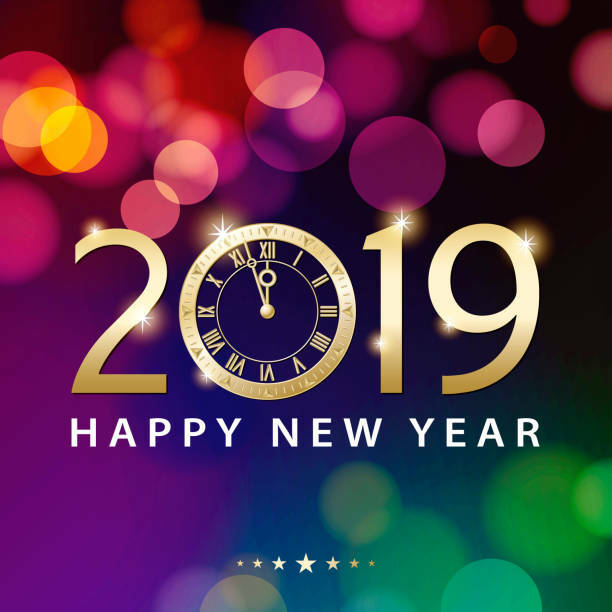 We are looking forward to a great 2019 and have some great functions to look forward to. One more function for us tonight and then it’s time to relax for a few days! 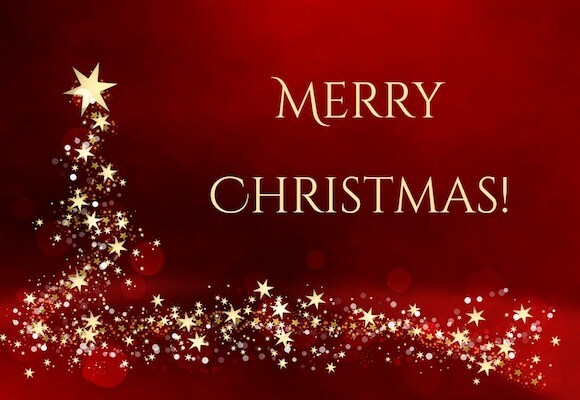 The whole Richie C Disco team would like to wish everyone a very Merry Christmas! With December nearly here, we have already had our first Christmas Party of 2018 and we have plenty more to come over the next few weeks! We have lots of great functions coming up for children and for adults. It’s hard to believe it is that time of year again already! Halloween has been and gone and now it’s time for the fireworks! 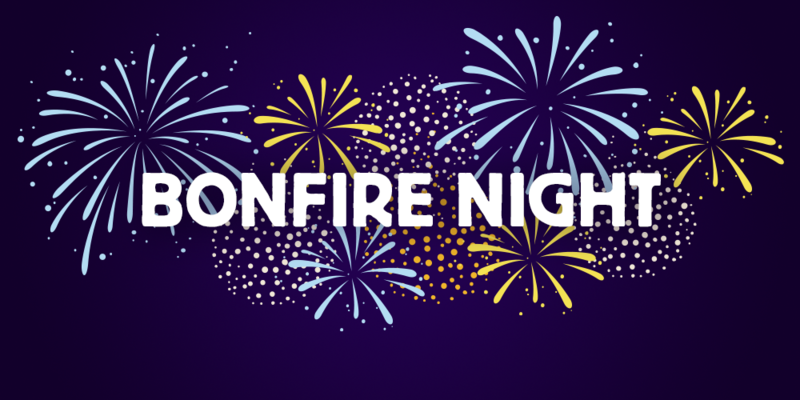 We have a few Bonfire Night parties still to come this weekend and then the big Christmas rush will begin before we know it!. A thank you email arriving in our inbox is always really appreciated. A couple we have received recently are below. 13th Birthday Party - Thank you so much for the great disco, the birthday girls had such a good evening with their friends. You really were the best disco we have come across and we were very impressed with the set up and music you played. We will highly recommend you and we have already had some of the other parents ask for your details. Wedding Reception: - We both wanted to say a big thank you for being the DJ at our wedding and also being flexible at the last minute about the set-up - which was much appreciated at a time of stress! The dance floor had people on it all night which is what we wanted and the time seemed to fly by. We're really glad we chose you as the DJ and would happily recommend you to anyone who needs a professional DJ at an event. We have been spoilt with some lovely mild weather through September and October, but we can no longer deny that autumn has arrived. Halloween is just around the corner closely followed by Bonfire Night. The temperature is also forecast to drop on Friday and the clocks go back an hour this weekend! Still lots to look forward to though following a very busy summer! 2018 is flying by so quickly! Here is the very latest Top 10 Singles and Album Charts. I don't want to mention it too early, but we have recently been getting so many enquiries for Christmas and New Year Parties! We cannot deny that it is a lot closer than we think and it will be upon us before we know it! Get in touch now if you are planning a party to get a quotation. Don't forget we have experienced DJs that cover the whole of Kent. Whether it is a family party, works do, club gathering or you have any other special occasion to celebrate, we will be happy to help. Get in early whilst we still have some dates available! October is here and that means Halloween is on its way! 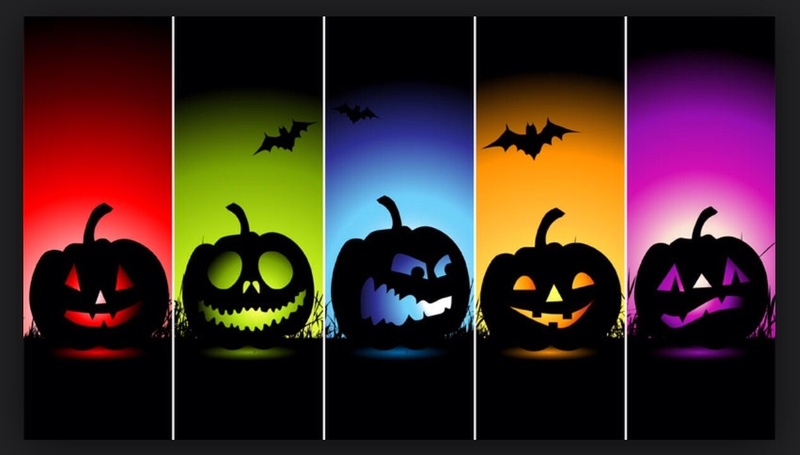 We have lots to look forward to this month with plenty of Halloween Themed functions! A School Halloween Disco is more popular than ever and it's always great to see the kids dressed up and really embracing the theme. We recently did a Wedding that gave us a good photo opportunity from up above! It’s always great to have a balcony to capture a bit of the dance floor action from! We base our playlist around your own personal preferences to make sure you get all your favourites included! Our aim is always to keep your dance floor busy from beginning to end! The summer holidays just seem to have flown by! It really doesn't feel like 2 minutes ago that we were doing all the end of term Proms and School Discos! 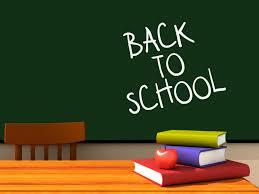 Good luck to all those going back to School this week. It will be time for their Halloween Discos before we know it! It's always lovely to receive a thank you card in the post! We really appreciate it when people take the time to write to us. We have been so busy recently and have had so many different occasions to help people celebrate! We have another busy weekend ahead with a variety of functions that include a Wedding, a 30th Birthday, a 50th Birthday and an Engagement Party! We can assist with all your different occasions and all age groups at Richie C Disco. We love to help you celebrate with a great disco set up and by playing the music you love! We have had some great functions this summer for our German Students who come to the UK for education and a bit of sightseeing. They really know how to have a great time and the dance floor is always busy! They are always good fun and we get to play a big variety of music for them. It's been quite some time since we shared the UK Top 10 Album Chart. Movie Soundtracks are proving very popular at the moment with Mamma Mia! Here We We Go Again and The Greatest Showman taking the Number 1 and 2 slot! Below is the very latest Top 10 singles chart! This week we had a beautiful Monday Wedding at Kent Life in Maidstone. It may have been a Monday night, but it didn’t stop the crowd from making full use of the dance floor all evening. They definitely seemed to have that Friday feeling! Some people love to have a theme for their party. We recently did a 50th Birthday with a Country and Western Theme and it was great to see all the guests really embrace the theme and dress up accordingly! A great time was had by all and we even had a appearance by Dolly Parton and Kenny Rogers!! 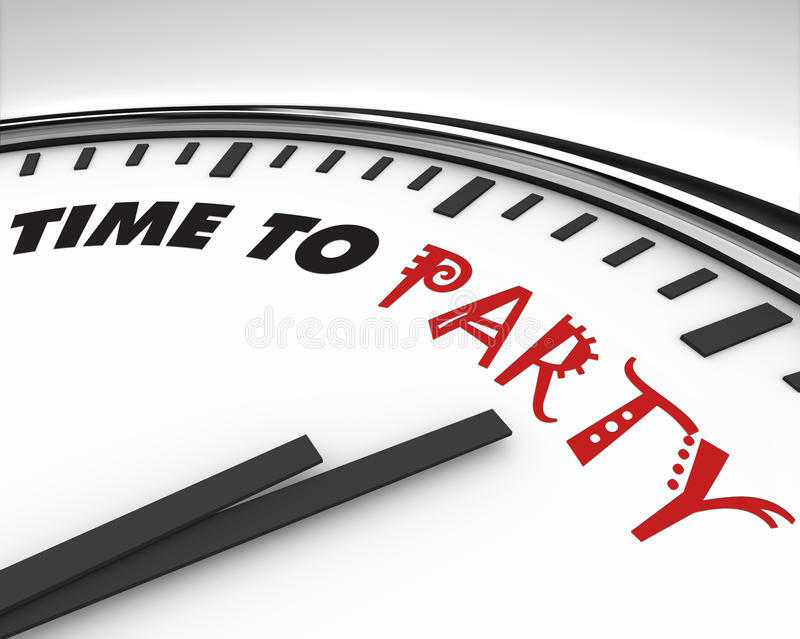 If you decide to have a theme for your party, let us know in advance and we will always do our very best to have the music to go along with your chosen theme. As always, we welcome you sending a list of music requests in advance to ensure any particular favourites are included in the playlist. We have had so many school proms throughout Kent this year! Many of them have been for Primary School Year 6 Leavers which seem to be more popular than ever. It is always great to see all the effort the school staff and parents put in with decorations and organisation of food and drink etc. When you book with us, we always provide you with a top quality set up to really add to the atmosphere! We are not the sort of disco that turns up with hardly any equipment and just asks for a trestle table to set up on with minimal effort. You will get a professional set up to really help add to the excitement when the children arrive for one of the highlights of their academic year! Equally, we know the music the kids love to make sure they get all their favourite songs included in the playlist! We have had a very busy few weeks and it is equally as busy for us for the remainder of the summer! We really appreciate it when people take the time to email us following their function and below are just a few of them. "Please pass on my thanks for the other night it was a great evening As soon as I have the date we'll book for next year! " "I just wanted to say a huge Thank you to Russell for our party - he was amazing & got everyone dancing all night! Thanks again". "Sorry this is a bit late, but just wanted to thank you both for the party. You made it a great night and they all commented on the great music"
"I just wanted to say thank you so much for a great evening. My Mum and all the guests really loved the music and had a lovely time". "Ethan and friends had a fantastic time thank you so much." It has been a while since we updated you with the latest Album Chart. See the Top 10 below. The Greatest Showman Soundtrack remains at number 1 for another week! We have a busy weekend of functions ahead and it is Birthdays all the way for us! They include an 8th Birthday, 10th Birthday, 40th Birthday, 50th Birthday and 80th Birthday! We cater for all age groups and will always play what is appropriate for the occasion! Here is the very latest Top 10 Singles Chart! Calvin Harris and Dua Lipa are still at Number 1 with One Kiss! As a DJ Service provider we get to play a huge variety of music and love all the different typed of music we get to play! We never stick to a set playlist and treat each job invidiually. We always ask about your likes and dislikes in advance to ensure you get any particular favourites included in your playlist and the music that means something to you. The photo below says it all really! It was hard to miss the fact that rather a big Wedding took place this weekend! We had a beautiful Wedding of our own as well and it was great to help our own happy couple enjoy their celebration. 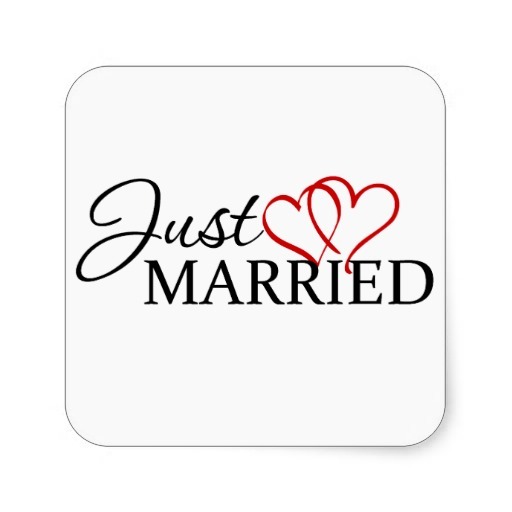 We would like to congratulate all the newlyweds who said "I do" this weekend. and of course …….. a Wedding or 2! We absolutely love the variety of functions we get to do as it gives us the opportunity to play a large variety of music! We are not the sort of DJs that like to stick to a set playlist - we adapt and change what we play to suit the occasion and always discuss music in advance to make sure get any particular favourites included in the playlist! We have already provided our service for lots of beautiful Weddings so far this year! The First Dance is always a very special moment for your big day! The song choice can be a big decision and it is usually based on a song with special lyrics or just something that has a sentimental attachment - such as a reminder of when a couple first met or has a special memory..
We have listed below some of the most popular song choices if you are struggling with what to choose. Of course, the list is endless! Above are just a very small selection of the songs that are the most requested. Some people like to have an upbeat song for their First Dance to really set the mood on the dance floor. The choice is entirely yours. Some couples even go as far as doing a fully choreographed routine which is always a really great surprise for their guests! We always discuss your First Dance song choice and any other general music requests you may have in advance. We realise that music plays a vital role in ensuring you have a great evening and we positively encourage you to give us an idea of the music you really like (and dislike) in advance to ensure you get a playlist that is just right for you and your guests. We do not have a set playlist and treat each Wedding individually. It is your day and you will get the music you love! 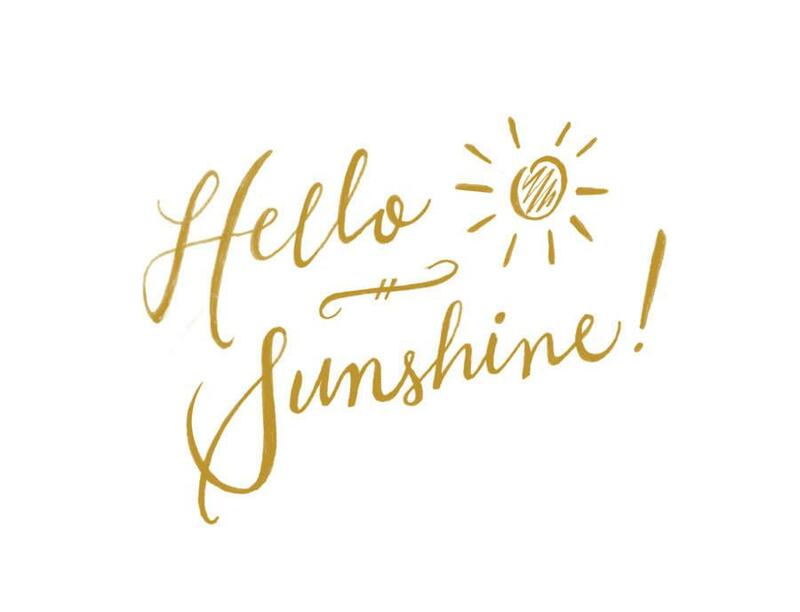 Isn't it lovely to see a bit of sunshine and feel a bit of warmth! Let's hope it is a sign of things to come and we have a long hot summer ahead! 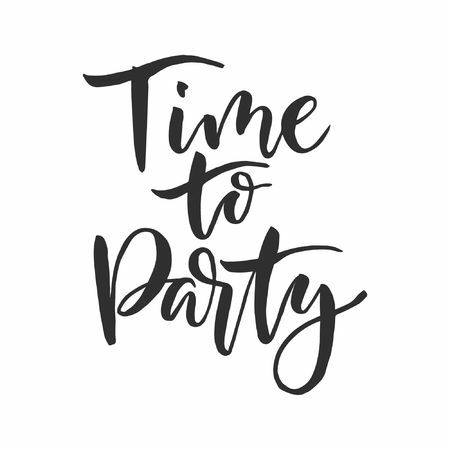 We are starting to get lots of bookings in the diary for the summer months for a large vareity of different functions, but still have some of our great team of experienced DJs avaiilable for certain dates, so if you are planning any kind of celebration, please get in touch! We had a beautiful Easter Wedding this weekend in Ticehurst! 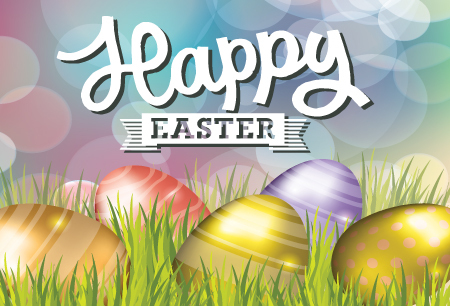 The whole Richie C Disco team would like to wish everyone a Happy Easter! Whatever your plans are, have a lovely break! 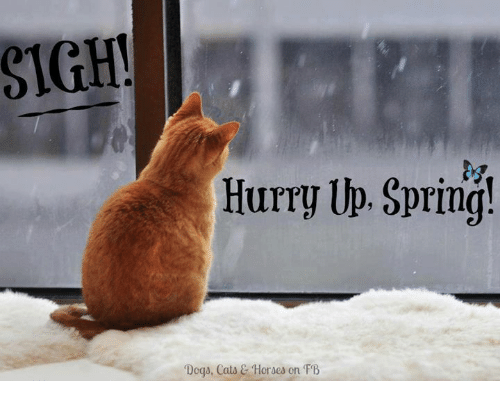 I think it is safe to say that we are all getting a bit fed up with this cold and snowy weather! Let's hope that spring is just around the corner and we can all enjoy a bit of warmth! The Christmas and New Year Season is a very popular time to get engaged. 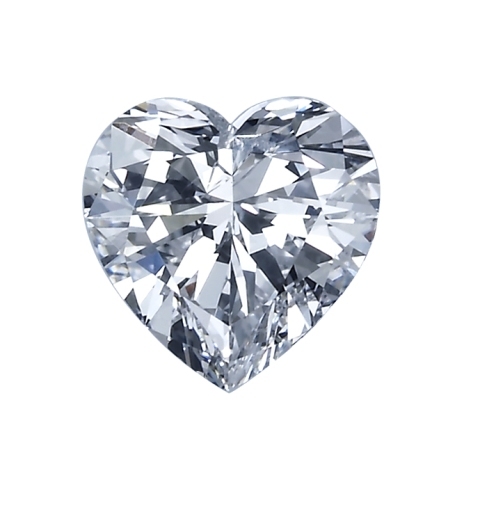 Many people decide to pop the question to that very special person in their life! Congratulations to anyone who has recently said yes and now have the excitement of making lots of plans for the big day! If you are now planning your Wedding then check out our Wedding Page for details of the service we provide. We treat each and every Wedding individually and always discuss everything with you in advance to ensure everything runs smoothly for you to make sure you get exactly what you want for your big day! We cover the whole of Kent and surrounding area and would be pleased to give you a quotation and discuss your requirements. Now we are in to the New Year, we thought you might be interested in what the biggest selling Albums were for 2017! Here is the first offical Top 10 Singles Chart of 2018! Ed Sheeran's duet with Beyonce is at number 1 with Perfect. 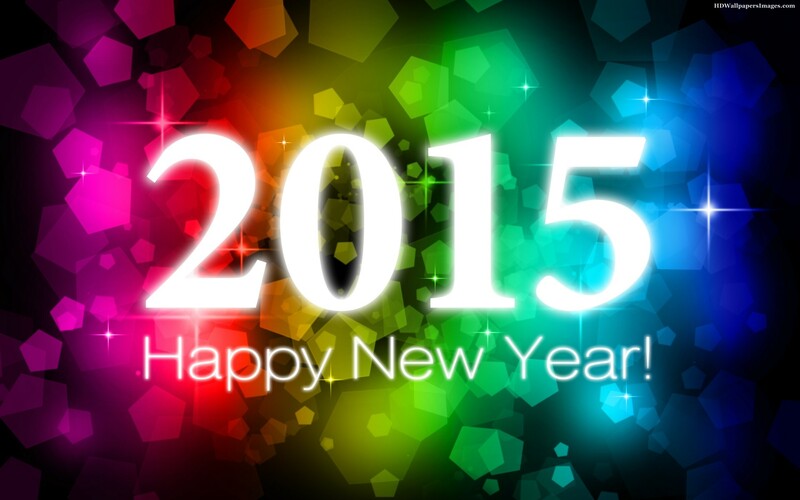 The whole Richie C Disco team would like to wish everyone a very Happy New Year! 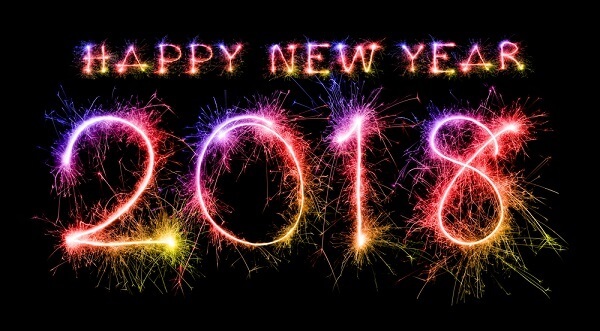 Whatever you have planned for 2018, we hope that it is a great year for you! It's official! The Christmas Number 1 single for 2017 is ................... Ed Sheeran - Perfect! It was widely predicted that Ed Sheeran was going to be a hot contender for the top spot. The biggest competition was from Eminem (also ft. Ed Sheeran) with his new single "River". Fans were also hoping to try and get Wham's "Last Christmas" to number 1 as a tribute to the late George Michael who we very sadly lost on Christmas Day 2016. It's time to share the current UK Top 10 Singles and Album Charts. It's now getting to the time of year where we cannot hide from the fact that Christmas 2017 is fast approaching! This means that Christmas Party Season will soon be in full flow! We can help with all your Mobile Disco and Christmas Party DJ requirements for both children and adults and we cover the whole of Kent. We have experienced DJs for all age groups and types of function. Whether you are looking for a disco for a club or group, company, school, college or university, or your family and friends, our friendly and reliable team can help you have a great evening with all the best music to help create the perfect party atmoshphere. You can also expect the very latest sound and disco lighting equipment. It's time to think about booking as it is such a busy time of year for us and some dates are already becoming very popular! Don't delay and get your enquiry to us now! Halloween is fast approaching and it is busier than ever! This week we start the first lot of our School Halloween Discos before the kids break up for half term. We then have even more Halloween Discos at the end of the month when they go back! We are looking forward to lots of spooky fun and all the Halloween costumes! This weekend was dominated by birthday celebrations for us. Our functions included a 5th Birthday, 8th Birthday, 40th Birthday, 50th Birthday and a 70th Birthday! We covered a big section of Kent by travelling to Faversham, Sheerness, Whitstable, West Malling and Westerham. Our Sunday evening was finished off by travelling to Sandwich for a student function. Plenty of mileage was clocked up and a massive variety of music was played! This weekend one of our functions was for a Platinum Wedding Anniversary - celebrating 70 years of marriage!. This was a first for us and it was a pleasure to provide our service for such a special occasion. What an amazing milestone to reach! We were able to demonstrate once again that we really can cater for all age groups with the service we provide. We always consider the age group we are playing to and ask about your likes and dislikes in advance to ensure you get the music you really want to hear and the atmosphere you want to create. We understand that a party isn't always about loud music and dancing, sometimes the music is there to help create the perfect atmosphere to allow people to be able to have a chat and catch up with friends and family that they may not have seen for a long time. If you want background music that is absolutely fine, equally if you want a full party atmosphere with a club feel, we can do that too! Each party is completely individual and we always pay attention to the details that really matter to ensure you get the party that is perfect for you and the occasion being celebrated. We cover the whole of Kent, so if you are looking for a experienced and reliable Mobile Disco Service provider, please get in touch to discuss your requirements for your special occasion or event. Please click on the links below to go directly to our facebook and twitter accounts to take a look at what we have been up to! It really doesn't feel like 2 minutes ago that we were doing our School Discos and Proms ready to head into the start of the Summer Holidays! All of of sudden it is September and the kids are making their way back to school! 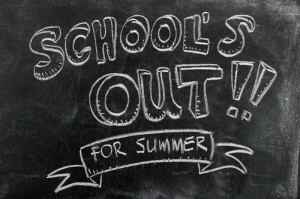 We have had our busiest summer yet and even though the weather hasn't been that great on the whole, we hope that you all enjoyed any break you were able to have over the summer holiday season! Good luck to all those kids going back to School this week! It has been a little while since we have shared some of our feedback. Here are some lovely comments we have received via email for some recent functions. Golden Wedding Anniversary - We want to thank you so much for doing a good job in providing the music for our party last Saturday. Everyone said that they had a great time and your expertise with the music was a large contributory factor. Thank you particularly for playing our special songs - moments we will never forget. Thanks again and we would have no hesitation in recommending you in the future. Diamond Wedding Anniversary - We both wanted to say thank you once again for helping make our evening so special. You really did a great job and we have had so many comments from our guests saying what a lovely party it was. We would highly recommend you and really hope to be able to use you again in the future. Teenagers Summer Prom - Thank you very much for last night. For many of the children it was their first disco and they all went home smiling. Thanks again. 7th Birthday Party - Just a note to say a huge thank you for doing the DJing and games at my son’s birthday party. I am so impressed (as was everyone else), great music, excellent service and such professionalism. I will be highly recommending you to all my friends and family. It's time to share the very latest Top 10 Single and Album Chart! The last of our School Discos took place at the end of last week. We havve had som many functions for Schools and Students this year! End of your proms for the leavers are becoming more popular than ever along with the traditional School Disco. They are always enjoyed by all age groups from Primary School age, right up to University Graduates. The summer holiday is now here, all we need now is for the weather to improve at bit please! If your School, Academy or University is looking for a great disco, please get in touch. We offer great off-peak rates for mid-week bookings. As a full-time professional disco service provider, we can provide a service 7 days a week all over Kent. When you book a disco and DJ for your Wedding, it is always reassuring to see what previous customers have said abou the service they received. Below is just some of the recent feedback we have received! "You were great at our wedding – thank you so much. You were brilliant to work with on the run up to our big day, and we knew you’d be good as we’d seen you DJ at a friend’s Anniversary party last year! Your PA system was brilliant for our speeches, and it was great knowing you were on-hand should we need any technical assistance (although it was all so professional we didn’t need it!). You transformed Lympne Castle’s Great Hall with your uplighters, and the disco lights looked brilliant projected on the wall – thank you! And a bigger thank you for playing along with our first dance – when Dolly & Kenny’s Islands in a Stream was suddenly interrupted! We really enjoyed your set and had us enjoying the music all night long – you played some fantastic tracks based on our requests. Thank you – 5*s - we highly recommend you! " 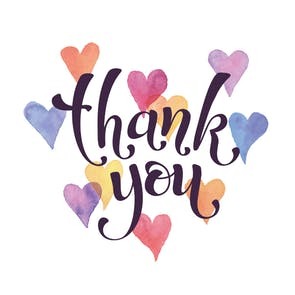 "Just wanted to say thank you to you and Callum for your amazing disco on Saturday - it was such a great mix of tunes and exactly what we were hoping for!!! Everyone had a great time - absolutely perfect!! If I ever hear of anyone needed a DJ in the future I will highly recommend you. " "Thank you for supplying the brilliant entertainment for our wedding on the 29th April 2017. Everyone loved it and had a brilliant time! Highly recommend." Go to our Testimonials page to see even more of the great feedback we receive! 22 Oasis - (What's The Story) Morning Glory? 28 Kendrick Lamar - DAMN. Is it really June already? 2017 has been very busy so far and we have catered for such a large variety of functions all over Kent. I decided to go through the diary and list all the different types of functions we have provided our service for so far this year! Of course, many of these have been catered for more than once with multiple Birthday and Wedding Celebrations. These are the most popular type of occasions that people want to celebrate. The list below really does demonstrate that we cover a broad age range and different types of music for all age groups. We have the experience and expertise to provide a great service and give guidance where required to help your event be a huge success! We always take into consideration the age group we are playing to and ask you about your own personal likes and dislikes in advance to make sure you get all your favourite music included in the playlist. We cater for children as well as adults and love the variety of people we get to provide our service for. Variety is the spice of life afterall! It was only going to be a matter of time before Harry Styles of One Direction fame released a solo single! Harry has this week released "Sign of the times" which has of course entered the chart at Number 1. You will no doubt have noticed that the chart is somewhat different this week! It is fair to say that Ed Sheeran is completely domimating it with 9 out of the 10 singles being by him! This perhaps leads us to question the way the chart is compiled. Does it need to be reviewed? Is it right that one artist can dominate in this way? One of our functions this weekend has a 90's theme! There is so much music to choose from that covers a broad range of music types - dance, indie, pop, rock and much more! Below is a rather long alphabetical list of just some of the popular tracks. Have a browse and see which ones you remember! There is plenty more that could be added to this too! C+C Music Factory feat. Freedom Williams - Things That Make You Go Hmmmm…. The first month of 2017 has just flown by and we will soon be into February. Here is the latest Top 10 UK Singles and Album Chart for January 2017! 10 Ed Sheeran - X? January can be a flat time of year after all the festive fun! This month is quite quiet for us generally, but we have still been kept quite busy with Birthday Celebrations. Happy Birthday to all those people who have a January Birthday! We had a great night of functions yesterday evening throughout Kent and December was our busiest to date. Here is the last Top 10 UK Chart for 2016! Suddenly we are 7 days into November and there is no denying that Christmas will soon be upon us! Christmas Party Season will be in full flow before we know it! 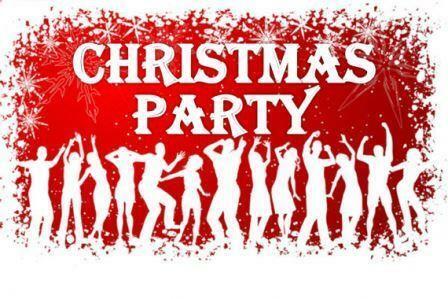 If you are planning your Christmas Party then Richie C Disco Services can provide you with a great DJ and Disco. We cover the whole of Kent and as a full-time Professional Disco Service provider we are available 7 days a week. We have a team of experienced DJs who will make your Christmas Party a huge success and create the perfect party atmosphere. Whether you are planning a party for your company, club, social group or family and friends, we can help throughout the whole of Kent..
Get in touch now for a free no obligation quotation! We have a very busy week this week providing our service for lots of Schools. A School Halloween Disco is very popular and a great way to get all the kids to enjoy a bit of spooky fun! If you are look for a disco for your School, please get in touch. As a full-time Professional Disco Service provider we are available for your School Disco 7 days a week! We have a CRB Check Certificate and offer a completely reliable service with a great disco that the kids will love! It's been a while since I posted the lasted Top 10 Single Chart and Top 10 Album Chart so here it is below! "Thank you so much for dj-ing for my husbands surprise 40th last Saturday. Everyone said how good the music was and will definitely contact you for any future events"
We have a small team of very experienced DJs at Richie C Disco Services who love what they do and want to make your night a huge success! We always really appreciate it when people take the time to give us feedback. 2016 has been a very busy year for us so far and moving into the Summer months it has been busier than ever! We started July with quite a few School and College Proms, in addition to Wedding Season starting to get into full flow. We have also had numerous Children's Birthday Parties and end of year School Discos. In addition we have also helped people celebrate their 18th Birthday, 21st Birthday, 40th Birthday, 60th Birthday, Silver Wedding Anniversary, Ruby Wedding Anniversary and Golden Wedding Anniversary! We really have catered for all age groups and played such a large variety of music. We have travelled far and wide, all over Kent and a little bit beyond, to cater for all your Mobile Disco and DJ requirements. As a full-time Professional Disco Service provider we are available 7 days a week, day or night. We are 100% committed to each and every booking made with us and pride ourselves in giving a completely reliable and top quality service. Our next mission is to try and start taking more photo's on the road and share more on our facebook and twitter accounts. Click on the links below to go directly to our accounts and take a look at what we have been up to! Is it really June already? Here is the latest Top 10 UK Single and Album Chart! 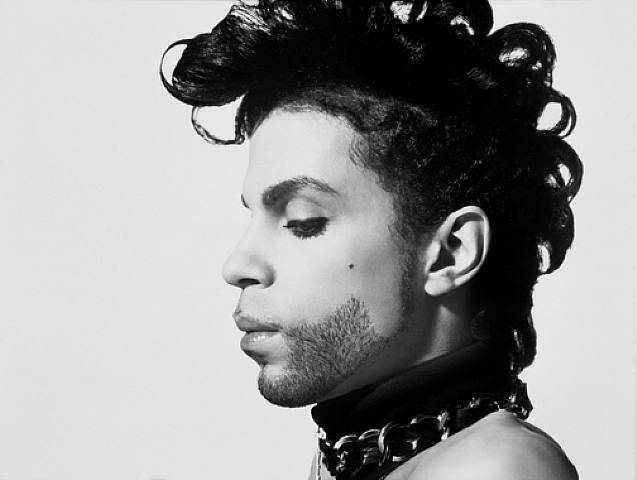 It was a massive shock to hear the news that Prince has died at the age of 57! As we move into April, it's time to update you with the very latest Top 10 UK Single and Album Chart! The Brit Awards are upon us again! It will be shown live on TV this evening, and below our this year's nominees. Adele has been named as the biggest global artist of 2015! Considering her latest album was not released until November 2015, this is a massive achievement and a true marker of the huge success of her latest release! Her album '25' sold over 800,000 copies in the first week alone. The first single "Hello" from the album became the first single to be downloaded more than 1 million times in the US. 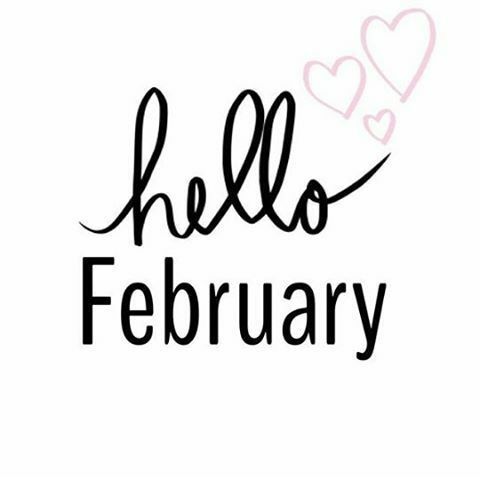 The first month of 2016 has just flown by! Here is the first Top 10 UK Chart for February 2016. Zayn, former member of 1D has made his big comeback and gone straight in at Number 1! 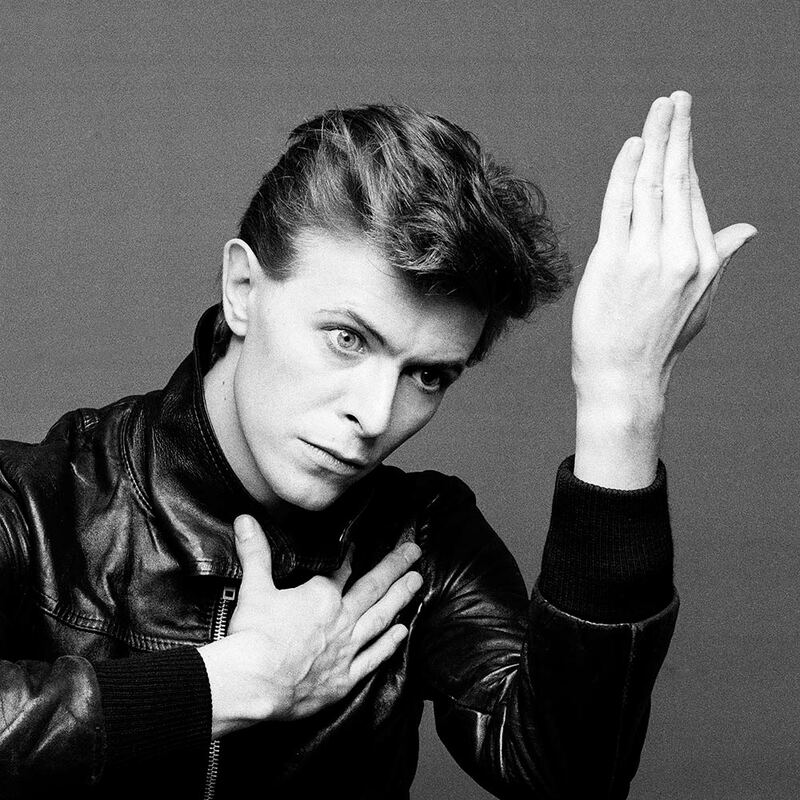 Today we lost a music legend - RIP David Bowie. We got plenty of requests to play a lot of these tracks throughout the year and I am sure a lot of them will stand the test of time and still be requested for many years to come! 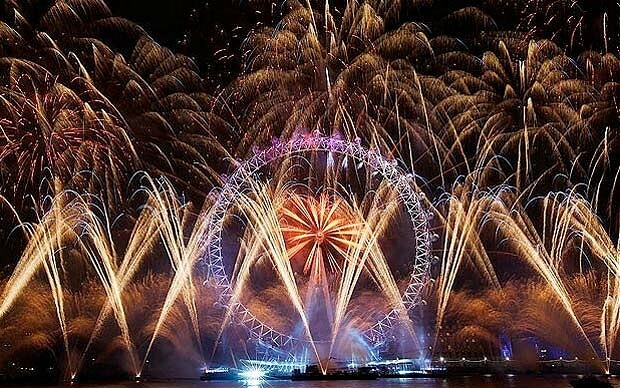 Happy New Year to everyone, from the whole Richie C Disco Team. 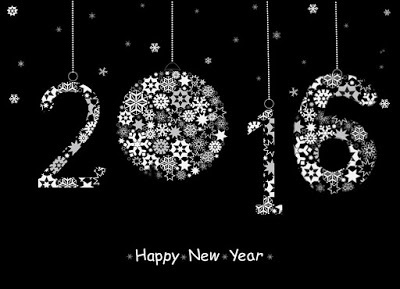 We hope that 2016 is a great year for all! Love him or hate him, there is no denying that Justin Bieber is doing quite well at the moment with 8 singles in the Top 40. This is a new chart record! All the songs are from his new album called "Purpose". Below is a list of the songs along with their chart position. 4 - Justin Bieber - What Do You Mean? Hard to believe that 2015 will soon be coming to an end. 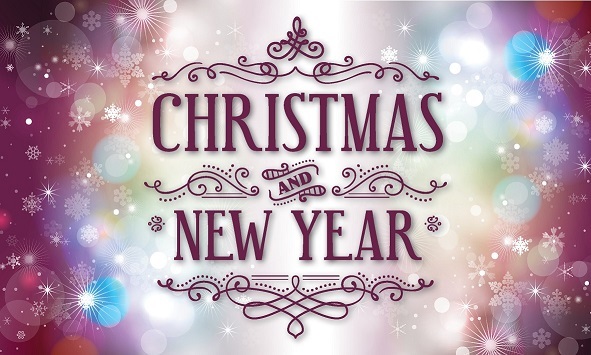 We are starting to get everything organised for all the Christmas and New Year functions that we have coming up and we are left wondering where this year has gone?! It has been a busy year for us overall and it really has flown by! I guess we must be having lots of fun! Soon be time for those fireworks again! Here we are in November already! Been a few weeks since I last updated the latest Singles and Album Top 10 Chart, so here it is! 6 Justin Bieber - What Do You Mean? 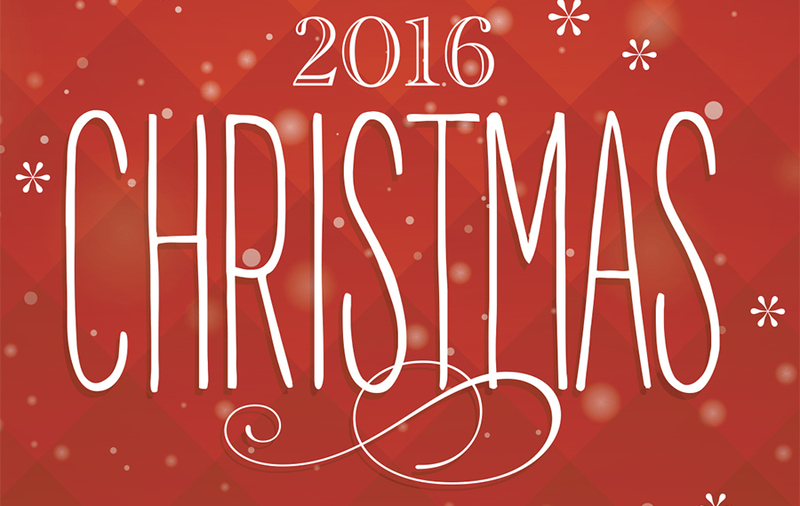 We never like to start talking about Christmas too soon, but the time has come to start thinking about booking your 2015 Christmas Party. If you are based in Kent and you are looking for a great Mobile Disco and Party DJ for your Christmas Function then give us a call or send us an email for a free, no obligation quotation. As a full-time professional Disco Service provider, we are available for your Christmas Party in Kent 7 days a week! We offer a great off-peak discount for all bookings made Sunday to Thursday. Whether you are looking for a DJ for you and your work colleagues, a club event or a family party, we can help! We have a small team of experienced and relabile DJs with quality equipment who will help make your night a big success. Don't delay, get in touch to check our price and availability for your Mobile Disco and DJ requirements for your Christmas 2015 Party in Kent. We can provide our Mobile Disco and DJ Hire Service for any occasion throughout Kent. Rochester, Strood, Hoo, Chattenden, Chatham, Lordswood, Walderslade, Gillingham, Twydall, Rainham, Wigmore, Sittingbourne, Teynham, Newington, Sheerness, Minster, Faversham, Whitstable, Herne Bay, Margate, Sandwich, Deal, Ramsgate, Broadstairs, Dover, Folkestone, Maidstone, Aylesford, Bearsted, Lenham, Kings Hill, West Malling, East Malling, Canterbury, Ashford, Tenterden, Gravesend, Higham, Meopham, Dartford, Bexley, Bexleyheath, Orpington, Sidcup, Bromley, Greenwich, Wrotham, Sevenoaks, Tonbridge, Tunbridge Wells, London, Kent , Essex, Surrey and surrounding areas. Make the right choice and contact Richie C Disco Services now for a free, no obligation quotation for your Mobile Disco requirements in Kent! "I just wanted to say thank you for your help on Saturday. We had lots of positive comments from our guests and so I wanted to let you know. We were also really impressed by the professionalism with which you communicated with us in the run up to the party and on the night itself. Kind regards Chris"
"Thanks for providing such a great service for our wedding recently. The music choice was perfect and everyone had a great time! Thanks again. Stu & Amy"
If you want to see more of our great feedback, please take a look at our Testimonials Page. Sam Smith’s single for the new James Bond movie Spectre has gone straight into the Chart at Number One. Writing’s On the Wall . becomes the first in the history of the Bond franchise to top the charts. Halloween has become bigger and bigger in recent years and is celebrated much more than it used to be! Autumn is in the air and there is no denying that Halloween will soon be upon us! If you are planning a Halloween Party in Kent then we can provide a great Mobile Disco to help create the perfect spooky atmosphere. 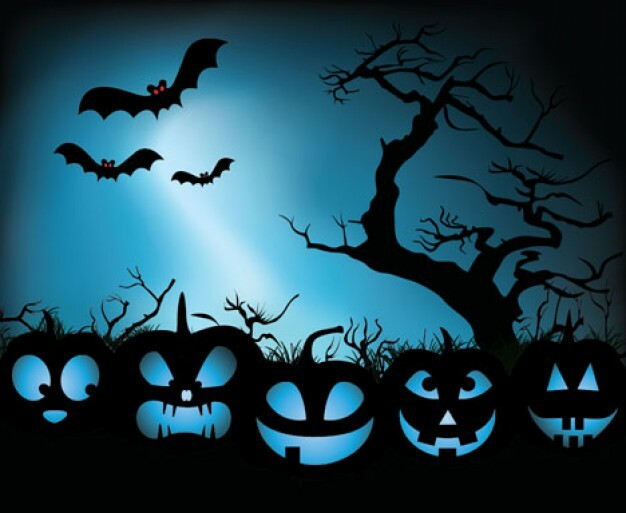 Whether you are planning a Club Event, School Disco, Adult Party or you have a special occasion to celebrate and would like to opt for a Halloween Theme for the party, we can help! Is it really September already?! It's been a while since I posted the latest Top 10 Singles and Album Chart, so here it is! Wedding Season is in full flow and the First Dance for the Bride and Groom is always a very special moment. The most requested First Dance Song choice so far this year has been Ed Sheeran - Thinking Out Loud. Below are a couple of recent photo's capturing that special moment for the happy couple. If you are planning your Wedding in Kent and are looking for a Wedding DJ with the experiene to ensure your night is a huge success, please get in touch. Make the right choice and contact Richie C Disco Services now for a free, no obligation quotation for your Wedding DJ and Mobile Disco requirements in Kent! We are heading into School Prom Season. School Proms are extremely popular now and it is the highlight of a student's year and a great way to celebrate the end of school or exam season. We can provide a great mobile disco for your School, Academy, College or University in Kent. We have the experience to ensure you have a great night and quality equipment that looks great. We offer discount for mid-week bookings. 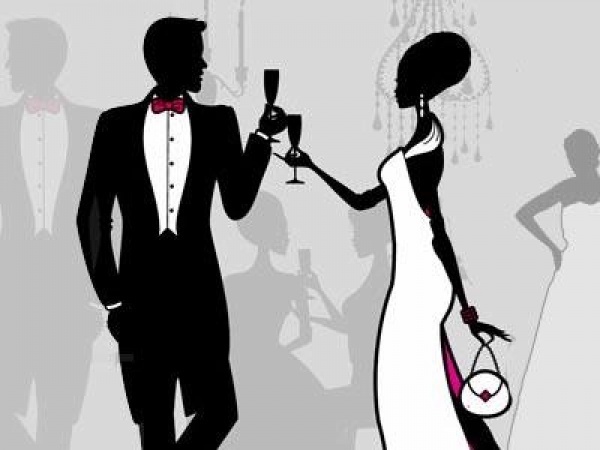 As a full-time Professional Disco Service provider covering the whole of Kent and the South East, we can cater for your School Prom or Summer Ball 7 days a week. We have Public Liability Insurance, our equipment is PAT Test Certified and we are CRB Checked. We confirm all our bookings in writing to you on receipt of an agreed deposit payment issuing you with a Guaranteed Booking Confirmation. BBC Radio 1's Big Weekend takes place this coming weekend. This year it takes place in Norwich. 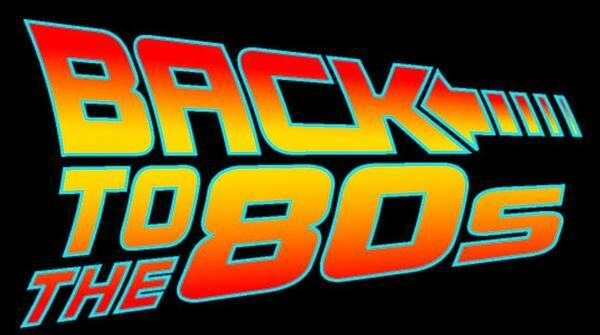 This weekend we have a party with an 80s Theme. 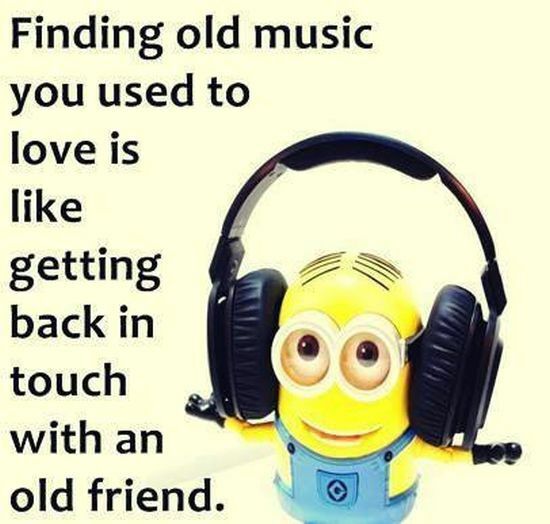 We can cater for all your music requirements and love going back to the music from decades gone by. We have the experience and knowledge of music through all the decades and have all the popular music that are still massive floor fillers today. If you are planning a party and want a theme you have come to the right place. We can go back as far as you want and will always play what is appopriate for the Theme you have chosen. So if you are looking for 40s music or 90s music, we will have what you want to hear for your function. We are open to taking requests in advance and can mix things up with a bit of up to date as well if this is something you would like. Did you know that it is 50 years since The Beatles recorded the song "Help!"? Of course, the Fab Four had many more hits than this. Which ones do you remember? 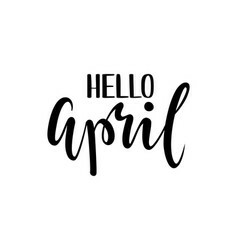 It's April already! Here is the first singles and album chart for the month. 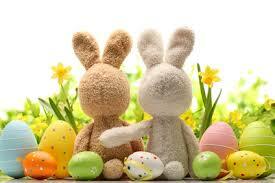 Hope everyone has a lovely Easter break! We are all set for the weekend with an Engagement Party tomorrow and a Wedding on Saturday. Easter Sunday it will be time to relax and enjoy some time with the family! Spring is in the air and it has been lovely to see a bit of sunshine! With the Spring and Summer months ahead, we are looking forward to Wedding Season and all the beautiful venues we will be provding our service at. Kent really does have some truly special places to get married. 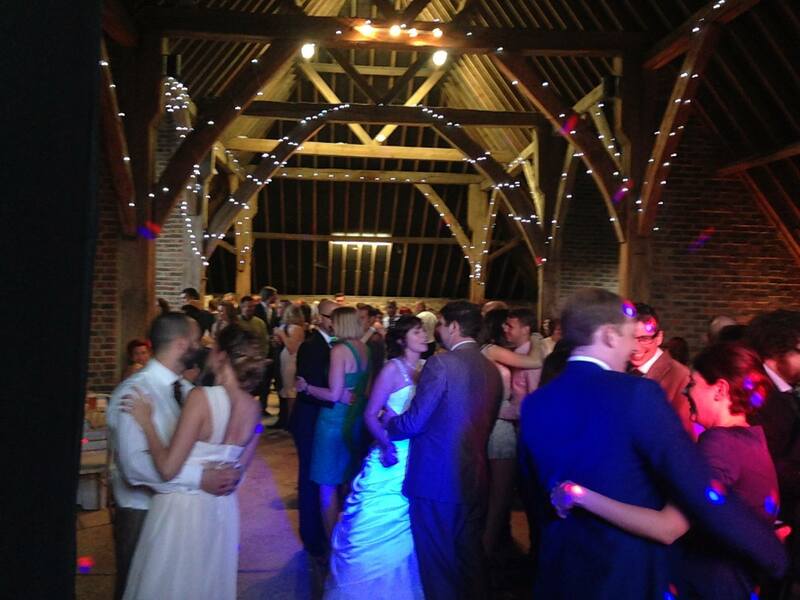 At Richie C Disco Services we offer a full-time professional Wedding DJ Service covering the whole of Kent. We are available 7 days per week and we are 100% committed to every booking made with us. We understand the important role that we play as your Wedding DJ and pride ourselves in providing a great Mobile Disco set-up for your Wedding in Kent. We have vast experience, listen to what you want and take pride in the quality and reliable service that we offer. So here we are, the first month of 2015 has gone already! Below is the latest Top 10 Singles and Album Chart to keep you up to date as we go into February. Yesterday the Brit Awards Nominees were revealed. The Awards take place on 25th February 2015. Happy New Year to you all! Hope 2015 is a great year for everyone. Don't forget to contact us if you have a special occasion to celebrate in the coming year. Did you get engaged over the Christmas Season and you are now planning your Wedding? Do you have a milestone birthday approaching? Whatever the occasion, we can help by providing you with an experienced DJ and a great Mobile Disco Set-up. We cover the whole of Kent and are available 7 days per week. Christmas Party Season is in full flow! It is such a busy time of year for us. If you are running late and have still not booked a DJ for your Christmas Event, we still have a couple of our DJs available for your Christmas Dates, so get in touch to discuss your requirements. We are available 7 days a week and can provide our great Mobile Disco Service all over Kent and the South East. Let us help make yoru Christmas Party extra special and create the perfect festive party atmosphere for you and your guests! We love a good Wedding at Richie C Disco and it is always great to receive lovely feedback from our happy couples! Below are a couple of recent Testimonials. "We booked Rich for our wedding disco and we couldn't have hoped for a better DJ! Rich and his colleague turned up on time, set up a fantastic lights display and played the perfect selection of music for our guests. I felt like the guys really listened to what we wanted music wise and the playlist was amazing! We kept trying to leave the dance floor to get drinks but had to keep coming back as the songs were always ones we wanted to dance to! The disco was buzzing from start to finish and everyone had a great time. I would recommend Rich to anyone wanting to make their wedding or party fun, memorable and special! " 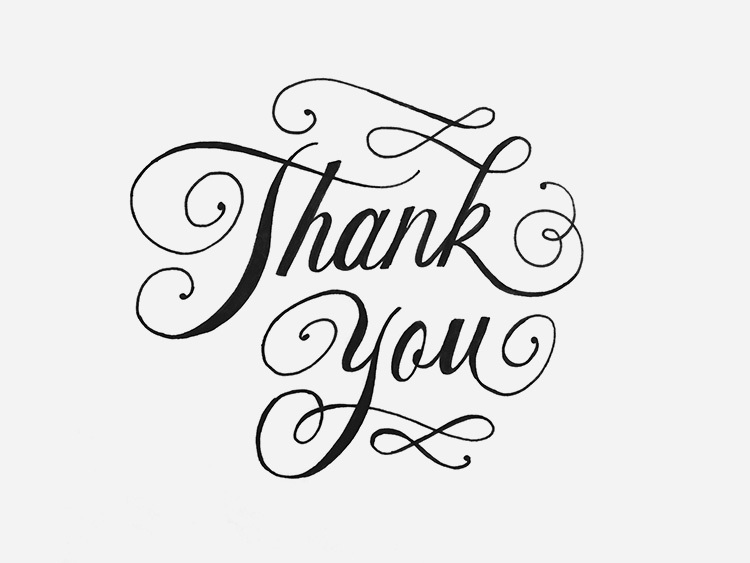 "Firstly a huge thank you from us both for the amazing disco service you provided at our Wedding Reception. You done an exceptional job from start to finish ensuring every guest was catered for. Your music selections were perfect; the dance floor was never empty! We honestly cannot praise and thank you enough, a fantastic DJ makes a huge difference. The Mr & Mrs theme tune was a great touch and certainly didn't go unnoticed. We'll definitely be recommending you to all friends and be using you for all future events! Huge huge thanks!" Make the right choice and get in touch to discuss your requirements if you are planning your Wedding in Kent and need a Wedding DJ and Disco that you can rely on. We love what we do and guarantee and quality set-up, experienced DJ and a completely reliable service. As a full-time Professional Mobile Disco Service provider covering the whole of Kent, we are available for all of your special occasions and events 7 days a week, 365 days per year. We are 100% dedicated to each and every booking made with us. We also offer a great discount for all off-peak bookings made with us. It's never too early to think about Christmas is it? Get in early and book us for your Christmas Party. Whether you are a company looking for a mobile disco for your Christmas Party or an individual who would like to organise a Christmas family get together, get in touch and we will give you a free, no obligation quotation for your Christmas Mobile Disco and Party DJ requirements. We cover the whole of Kent and the South East. We can provide our service for your function in any venue, so whether you are looking at a Hotel, Village Hall or your own home, we can help! As a full-time Professional Mobile Disco Service provider covering the whole of Kent, we are availble for all of your special occasions and events 7 days a week, 365 days per year. We are 100% dedicated to each and every booking made with us. We also offer a great discount for all off-peak bookings made with us. It has been a few weeks since I last updated you with the Singles and Album Chart. Below is the Current Top 10 for each. Right, it is about time I updated my Blog after a bit of a silent period! This is such a busy time of year in the Mobille Disco and DJ world and our feet have hardly touched the ground! Wedding Season is in full flow and we are loving all the Weddings that we are doing all over Kent. We have also been busy with School Proms and other Private Functions including, Wedding Anniversary Celebrations, Birthday Celebrations and Corporate Events.. As we are a full-time Professional Mobile Disco Service provider we are able to offer our service 7 days a week and give great discounts for off-peak and mid-week bookings. We are 100% dedicated to each and every booking made with us. Don't forget to get in touch for a quotation if you have a function coming up in the future. We have the experience, reliablity and quality equipment to ensure your function is a huge success. We cover the whole of Kent and the South East and take great pride in offering the best possible service. We run through everything with you in advance to ensure you get what you want for your special occasion or event. We are happy to take a list of any music requests in may have in advance. We carry a large variety of music to cater for all age groups and tastes and will always play what is appropriate for your occasion. We have Public Liability Insurance, CRB Check and our equipment is PAT Test Certified. We Guarantee all our bookings and will issue you with a Guaranteed Booking Confirmation on receipt of an agreed deposit amount. Get in touch now if you are looking for a great Mobile Disco and DJ in Kent for a free, no obligation quotation. Don't forget that at Richie C Disco Services we offer a full-time Professional Disco Service and cover the whole of Kent. We are available 7 days a week, 365 days a year and offer a great discount for off-peak bookings (Sunday to Thursday)..
We pride ourselves in a quality and completely reliable service. We are 100% committed to each and every booking made with us and will go that extra mile to ensure everything runs smoothly for your special occasion or event. We will confirm all your bookings in writing and issue you with a Guaranteed Booking Confirmation. We have Public Liability Insurance, CRB Check and our equipment is PAT Test Certified. We have quality sound and lighting equipment that is reliable and looks great. We have the experience to ensure you get exactly what you would like and what is appropriate for the occasion. We will encourage you to let us know in advance about your music preferences to make sure you get what you like. We then build upon your requests to create the perfect playlist for you. If you are looking for a great Mobile Disco and DJ for your Wedding, Corporate Event, Birthday, Kids Party, Christmas Party (and much more) in Kent and surrounding areas, you have come to the right place! We love what we do and this is reflected in the great service you will receive from us. 6 Little Mix - Word Up! Latest Top 10 UK Singles Chart update below! Spring certainly seems to be in the air right now! It is such a nice feeling to see a bit of sunshine after such a long, wet and windy winter ....... let's hope it lasts! 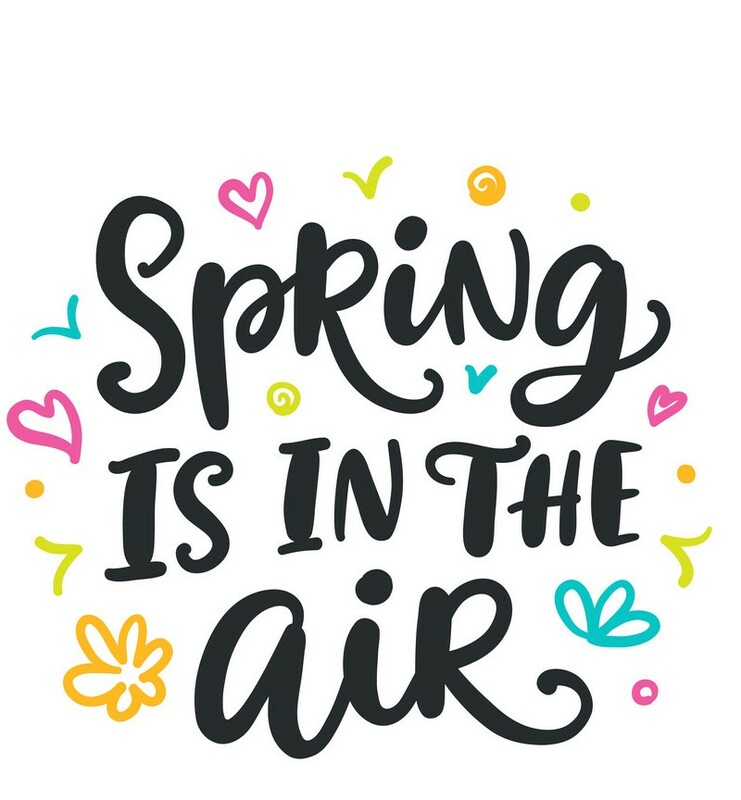 With the weather picking up a bit are you starting to look forward to the spring/summer months when we all wake up a bit and want to have lots of fun! Do you have the perfect excuse to have a party? Are you getting married or have you recently got engaged? Do you have a milestone birthday or anniversary approaching? Perhaps you are looking for an excuse to get a group of family and friends together for a reunion? Whatever the reason, if you need a great DJ and Mobile Disco to help your party be a huge success, why not give Richie C Disco Services a call to discuss your requirements. We cover the whole of Kent and the South East and take great pride in providing you with a completely reliable service, quality set-up and the guarantee that you will have an experienced DJ that will create the perfect atmoshphere and play what is appropriate for the occasion. We will always discuss your music preferences in advance and then build upon that to create the perfect playlist for you. As a full-time Professional Mobile Disco Service provider covering the whole of Kent, we are availble for all of your special occasions and events 7 days a week 365 days per year. We are 100% dedicated to each and every booking made with us. We also offer a great discount for all off-peak bookings made with us. We really can provide our Mobile Disco and DJ Hire Service for any occasion throughout Kent. So the Brit Awards 2014 took place last night with some amazing performances! As always, here's the UK Top 10 Singles Chart for this week. Richie C Disco can provide a great Mobile Disco for your School, Academy, College or University all over Kent. As a full-time Professional Mobile Disco Service Provider covering the whole of Kent, we are available 7 days a week for your all Mobile Disco and DJ requirements. If you need us on a week day afternoon, that is not a problem. We are 100% committed to each and every booking made with us and do not have to fit it in around other work committments as this is our full-time job. If you book with Richie C Disco, you are our number 1 priority and we guaranteed a completely reliable service at all times. We keep up to date with all the very latest music that the children, teenagers and young adults just love. We know what they like to hear and have the experience to ensure they have a great time by playing what is appropriate for the age group. We are always open to a list of requests being sent over to us in advance if this is something you would like to do. We are also happy to take music requests on the day. Richard Curtis, owner of Richie C Disco Services has a CRB Check and can provide a copy of his Certificate on request if this is something you need to see. We have Public Liabiliy Insurance and our equipment is PAT Test Certified. All of our Bookings are confirmed in writing with a Guaranteed Booking Confirmation being issued on receipt of an agreed deposit amount. Whether you would like to book us for your Christmas Party, Summer Party, End of Term Party, Prom or any other reason at all, we can help. Give Richard or Emma a call to discuss your requirements. We will be very happy to help and give you a free no obligation for your Mobile Disco and DJ requirements at your School, Academy, College or University in and around Kent. Richie C Disco Services has the pleasure of working all over Kent and the South East. If you are having any kind of celebration in the Kent area and you are looking for a quality and reliable mobile disco service provider, you have come to the right place! Kent really does have such a huge selection of venues for any event and to suit all budgets. Whether you are planning a Birthday Party in a Village Hall or a Luxury Wedding Reception in a top hotel, we can help. We have worked in so many venues all over Kent so there is a very good chance we may have worked at your chosen venue before. If however we have not worked at your venue, we will always take the time to find out what we need to know to ensure everything runs smoothly for you. We will always, make sure we know about access, set-up area and most importantly the location. If we have not worked at a venue previously we will usually go and look at it in advance so we know exactly where it is and know what to expect. We will always allow extra time to travel to your venue to make allowances for traffic etc. to ensure we are on time and our service is completely reliable. There is not anything worse than your DJ turning up late cursing about the traffic and rushing around all flustered trying to set-up in half the time they had planned. At Richie C Disco we will always allow ample time to get to you and plently of time to set up to ensure a completely calm and efficient service at all times. When you are booking a mobile disco, it is always worth checking with your DJ whether they have worked at your venue before. If they haven't ask what action they will take to ensure they are prepared. It is important to go into detail when making an enquiry about the overall service provided and not just make the only question you ask "how much do you charge?" and let that alone be your deciding factor on whether to book. Remember that the response you receive when making an enquiry will probably reflect the service you get on the day, so make sure you take the time to ask as many questions as you like. At Richie C Disco we are a full-time Professional Disco Service provider and take great pride in providing a reliable service. We will always discuss everything with you in detail to ensure you get what you want for your special occasion or event. We confirm each and every booking in writing and will always give you the opportunity to send over a list of music requests in advance. We regularly update our equipment and love to keep up to date with the latest sound and lighting technology. We can provide a copy of our Pubilic Liability Insurance Certicate and PAT Test Certificate to your venue and we are happy to liaise with them directly in relation to access, set-up etc. It's that time of week again! Here is the Weekly Top 10 Singles Chart update. Weekly Top 10 Album Chart update. We are CRB Checked. We are happy to provide a copy of the Certificate if this is something you require. We regularly provide our disco service for private individuals and schools. We do all the discos for Monkey Bizz on Medway City Estate and do in the region of 20 discos per year for the Medway School of English. As a full-time Professional Disco Service Provider, we are available 7 days per week and will be 100% dedicated to your booking with us. We can play a variety of games that the younger kids just love. We can tailor the party to suit the age group and play what is appropriate for them. If the slightly older kids just want the music and to have a dance that is fine. We keep completely up to date with all the very latest music to ensure we have everything they love. We offer a great discount for any bookings made with us mid-week or during the day. If you book your party on a Saturday to finish prior to 4pm we can also offer a great discounted price. We can of course provide our service on a Friday and Saturday night, but generally the price would be quoted at a peak time rate. If you are on a budget, perhaps consider an afternoon or a Sunday to save a bit of money. Please contact Richard or Emma to discuss any requirements you have for your Kids Mobile Disco in Kent. We confirm all our bookings in writing to you by issuing a Guaranteed Booking Confirmation on receipt of an agreed Deposit amount. We have Public Liability Insurance, CRB Check and our Equipment is PAT Test Certificated. A copy of all our Certificates can be provided on request. Make the right choice and contact Richie C Disco Services now for a free, no obligation quotation for your Mobile Disco requirements for any special occasion in Kent! What are the most important things to consider when booking a DJ? Sometimes it is all too easy to think about the price alone and not consider what you are getting for your money. It is important to also take into account all of the following to be sure you get a quality and reliable DJ for your special occasion in Kent. How much experience do they have and is it relevant to your event? How long have they been a DJ? What sort of equipment do they have? How often do they update it? Will they take music requests in advance? Can they cater for all age groups? Do they confirm your Booking in writing and issue you with a Booking Confirmation or Contract? Do they have a website? Do they have facebook page? Have you looked at their feedback / Testimonials. All of the above is very important and should be discussed with your DJ prior to booking them. Don't take a chance and book based on price alone. It is crucial that you do your research and ask the right questions to make sure you get a Mobile Disco and DJ that is reliable and 100% dedicated to your event. Are you currently planning a mid-week Wedding in Kent? As Richie C Disco Services is a full-time, Professional Disco Service provider we can supply our service for you 7 days a week and we are 100% dedicated to every booking made with us. We offer a great discount for any mid-week bookings made with us. Booking a mid-week Wedding can be a great way to get the venue that you thought was way outside your budget, as the venues will often offer a great discount too! We offer a quality and reliable service and have the experience to ensure everything runs smoothly for you. We will always discuss your requirements in advance to ensure we know exactly what you want for your very special day. We give you the option of sending over a list of music requests in advance to make sure you get the music you want to hear. Every booking made with Richie C Disco is guaranteed. A Booking Confirmation will be issued to you following receipt of an agreed deposit amount. We have Public Liability Insurance and our equipment is PAT Test Certified. We can issue copies of our Certificates to your venue if this is something they require. Make the right choice, contact Richie C Disco for all your mobile disco requirements across Kent and the South East. Here is the Top 10 UK Singles Weekly Chart Update. Here is the Top 10 Album Chart Weekly Update. The Brit Awards 2014 will take place on Wednesday 19th February 2014! We have listed below all the nominees. Good to see David Bowie nominated, an amazing 30 years after he last won a Brit Award! We are pleased to annouce that we are extending our special offer until the end of January for all those people requiring a great mobile disco for their special occasion or event in Kent on a Friday! Receive a 20% discount if you book your event on a Friday night in 2014! This great offer is available for a limited time only and has just been extended, so don't delay, give us a call or email us to go through your requirements to get a great deal. Remember we also offer a great discount for a Childs Party on any week day (Monday to Thursday) or a Saturday afternoon (to finish before 4pm) or any time on a Sunday. We are available 7 days a week for your Mobile disco requirements throughout Kent. Make the right choice and contact Richie C Disco Services now! So here we are, having just celebrated Christmas and the New Year, I am sure there are some newly engaged couples out there! 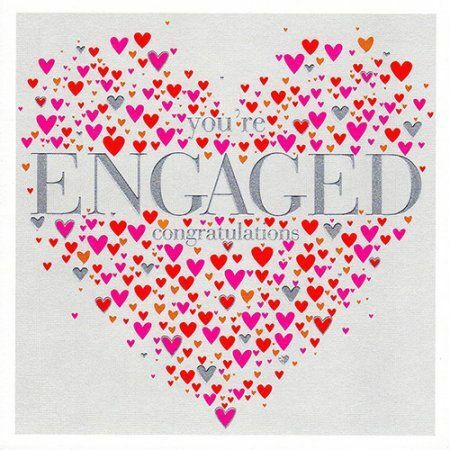 Congratulations if you are reading this and have recently got engaged. Are you planning a long engagement or will you be getting married as soon as you possibly can? Everybody is different and will have different timescales. Some people will just spend a couple of months planning their Wedding, where as others will allow a couple of years. It all depends on the individual couple and what they want overall. Remember that Richie C Disco Services can help if you need a great Mobile Disco for your Engagement Party or you are planning your Wedding and you are looking for an experienced and reliable Wedding DJ. Our Mobile Disco and Wedding DJ Service covers the whole of Kent and the South East. At Richie C Disco Services, we have the experience to help you plan your Wedding Reception Entertainment. We will go through everything with you in detail and can even meet up beforehand at your venue if this is something you feel would help. We have worked at so many Wedding Venues all over Kent and the South East. If however, we have not worked at your Wedding Venue before we are happy to liaise with them directly in relation tto access and set-up etc. to ensure everything runs smoothly for you on your special day. At Richie C Disco Services we will also give you the opportunity to send over a list of music requests in advance to ensure you get what you want. Equally you can tell us what you do not want. It is your day and you will therefore get the music you would like to hear. You can of course also rely on the experience of our great Wedding DJs to be able to read a crowd and ensure that everyone has a good time. Make the right choice, contact Richie C Disco for your mobile disco requirements across Kent and the South East. Listed below is the Top 100 'Best Ever' Singles. Of course, this is always subject to change, but gives a good overall reflection taking into account single sales and some polls taken over recent years. So here it is, the first Top 10 Singles Chart of 2014! With all the Christmas and New Year celebrations complete, are you now starting to think about that special occasion you have approaching in 2014? Perhaps you got engaged over Christmas and you are now planning your Wedding, or you may have a milestone Birthday or Anniversary approaching and are thinking about planning a big party? Richie C Disco Services can provide you with a great DJ and Mobile Disco for your special occasion or event in Kent. Make the right choice, contact Richard or Emma to discuss all your mobile disco requirements across Kent and the South East. 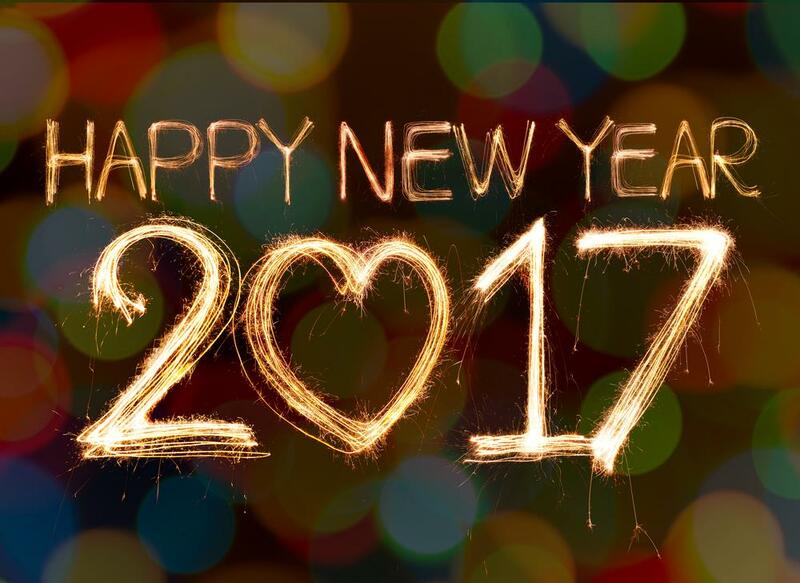 Everyone at Richie C Disco Services would like to wish you all a very Happy New Year! 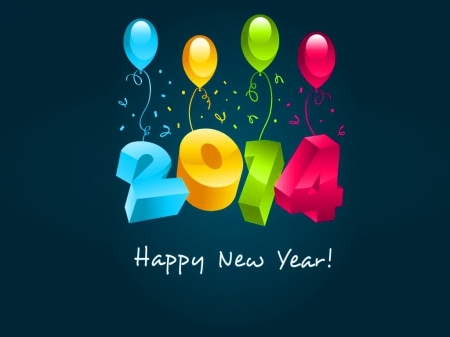 Here's hoping that 2014 is a Happy and Healthy year for everyone. So with 2014 approaching fast, what do you think are the most requested tracks of 2013? By far the most requested track has to be Robin Thicke, Blurred Lines - a clear winner! This has been a guaranteed floor filler and if it is not played within the first couple of hours it is always requested before we have had a chance to play it! There have even been events where playing it once has not been enough and people have asked for it again! Another popular track has also been Daft Punk, Get Lucky. Nearly always requested at the same time as Blurred Lines, the 2 just seem to go hand in hand. The Christmas Chart has been revealed and the X Factor winner has done it again! 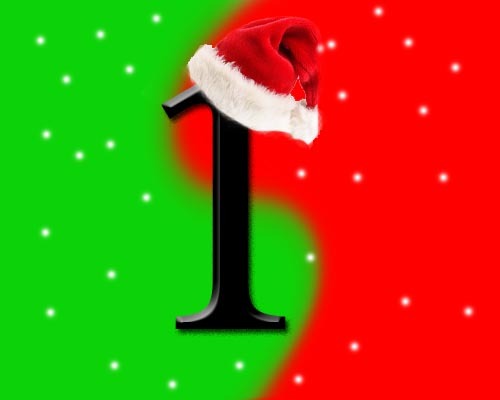 At this time of year the battle always begins to get the Christmas Number 1 spot in the singles chart. In more recent years, the X-Factor winners single is always a hot favourite having topped the chart many times, but there is always big competition from other Artists to try and claim the spot that everyone would so love to have. 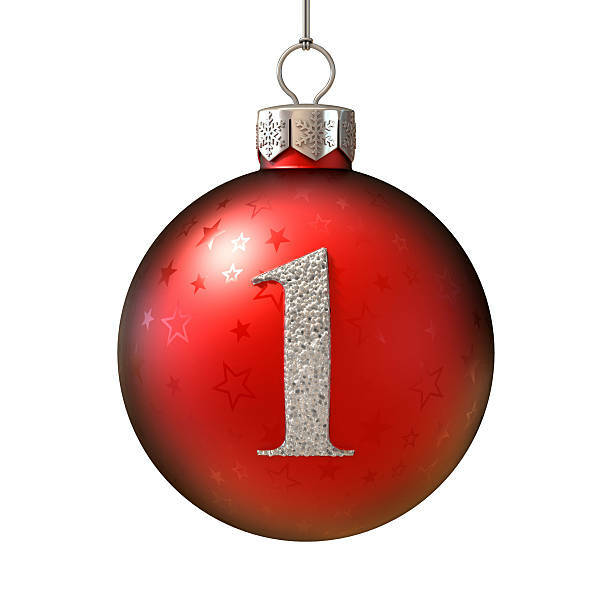 Do you remember what has been at Number 1 in previous years? Listed below are all the Christmas Number Ones from 1980 to 2012 ............ what will be number this year? 1980 St Winifred's School Choir "There's No One Quite Like Grandma"
1981 The Human League "Don't You Want Me"
1982 Renée and Renato "Save Your Love"
1983 The Flying Pickets "Only You"
1984 Band Aid "Do They Know It's Christmas?" 1985 Shakin' Stevens "Merry Christmas Everyone"
1986 Jackie Wilson "Reet Petite"
1987 Pet Shop Boys "Always on My Mind"
1988 Cliff Richard "Mistletoe and Wine"
1989 Band Aid II "Do They Know It's Christmas?" 1990 Cliff Richard "Saviour's Day"
1991 Queen "Bohemian Rhapsody" / "These Are the Days of Our Lives"
1992 Whitney Houston "I Will Always Love You"
1993 Mr Blobby "Mr Blobby"
1994 East 17 "Stay Another Day"
1995 Michael Jackson "Earth Song"
1996 Spice Girls "2 Become 1"
1997 Spice Girls "Too Much"
1999 Westlife "I Have a Dream" / "Seasons in the Sun"
2000 Bob the Builder "Can We Fix It?" 2001 Robbie Williams & Nicole Kidman "Somethin' Stupid"
2002 Girls Aloud "Sound of the Underground"
2003 Michael Andrews & Gary Jules "Mad World"
2004 Band Aid 20 "Do They Know It's Christmas?" 2005 Shayne Ward "That's My Goal"
2006 Leona Lewis "A Moment Like This"
2007 Leon Jackson "When You Believe"
2009 Rage Against the Machine "Killing in the Name"
2010 Matt Cardle "When We Collide"
2011 Military Wives with Gareth Malone "Wherever You Are"
2012 The Justice Collective "He Ain't Heavy, He's My Brother"
Are you planning a beautiful Winter Wedding? Most people tend to think of a Wedding taking place on a warm and sunny day in the spring or summer, but we have been lucky enough to be part of some stunning Weddings that have taking place during mid-winter. If you have the right venue and a crisp, cold and sunny day it can really add an extra special atmosphere to your day and make for some stunning photographs. Just google 'Winter Wedding Photographs' and it may inspire you to consider a Winter Wedding that is that little bit different. As an extra bonus, having your Wedding in the Winter can also be a great money saver if you're on a tight budget! If you take the time to do a bit of research you could get a great discount from that extra special venue that you thought was way outside your budget. Some of the best venues in Kent offer great discounts for booking mid-week and outside of what they consider 'Wedding Season'. It really is worth considering a Winter Wedding to get your dream venue that you would so love to have, but thought was out of reach. At Richie C Disco Services we are available 7 days per week to provide our Mobile Disco Service for your Wedding in Kent. We also offer a discount for mid-week bookings so could save you a bit more money! What sort of music would you want at your special occasion or event? At Richie C Disco we will always discuss music with you in advance to make sure you get what you like. It is your party and we pride ourselves in playing what you and your guests want to hear. Of course, we have the experience to read a crowd and know what generally goes down well to get a good reaction, but everybody is different and there is such a large variety of music that we feel it is important to guage in advance what suits you and your occasion.. What is played at an 18th Birthday will be somewhat different to what is played at a Golden Wedding Anniversary for example. Everyone is different in life and has different tastes in music. Some can be predictable and some unpredicatble, so our way of ensuring you get what you want is to give you the opportunity to send over a list of requests in advance. Equally we give you the opportunity to tell us what you do not like. We build upon your requests to create the perfect playlist for you. This is our way of being prepared and making sure we have all the tracks that you really want to hear. We always carry a very large variety of music from the old to the new, so we are always open to taking requests from your guests on the day of your event as well. Get a great Mobile Disco with a DJ that will play the music you want to hear for your special occasion or event in Kent! At Richie C Disco we have quality equipment that sounds and looks great! We constantly update our equipment to ensure reliability and to keep up to date with the latest sound and lighting that is available for a quality Mobile Disco set-up. When making an enquiry for a Mobile Disco, it is a good idea to ask about the equipment the DJ has and ask for some photos. There is nothing worse than having a disco turn up with equipment that has been knocking about since the 80s which looks old fashioned and is unreliable. An experienced and reliable mobile disco service provider will always carry essential back-up equipment to allow for any unexpected issues so that your night can continue in this circumstance. At Richie C Disco we always carry spare leads, decks and general maintenance items to ensure if the worst was to happen we are prepared and the night can continue. Don't risk the enjoyment of your evening by employing the services of a disco that purchases the cheapest possible equipment and rarely updates it and/or does not consider what might happen if anything goes wrong. When you book Richie C Disco Services you are guaranteed a quality set-up that is reliable. As a full-time professional Mobile Disco Service provider, we take great pride in our set-up and service provided. The Official 2013 Children In Need Single has been confirmed as How Will I Love you by Ellie Goulding. Do you remember any of the previous official singles? Listed below are some of them to help jog your memory. Are you getting married in 2014? Are you currently planning your Wedding and looking for a Wedding DJ? - We guaranteed all our Bookings and issue you with a Guaranteed Booking Confirmation on receipt of your deposit. We dedicate ourselves to your Wedding and pride ourselves in offering a quality and 100% reliable service for your Wedding in Kent. We have worked in Wedding Venues all over Kent and pay careful attention to detail to ensure everything runs smoothly for you. You are in safe hands when you use Richie C Disco Services for your Wedding. Richie C Disco Services is a member of The Alliance of Mobile and Party DJs who provide us with our Public Liability Insurance. Click below to see confirmation of our Insurance Cover. Make sure you know whether your selected DJ has valid Liability Insurance. Many venues now require a copy of the Certificate in order for the DJ to be able to perform. At Richie C Disco Services we will always provide a copy of our Certifcate along with our PAT Test Certificate and we are happy to deal directly with the venue on your behalf. Don't forget Richie C Disco Services can provide a great Mobile Disco for your Christmas Party. We cover the whole of Kent and we are available 7 days a week! Are you planning your Wedding and struggling to decide what song to have for your First Dance? Take a look at the list of songs below which may assist with your decision. The First Dance as husband and wife is an extremely special and memorable moment on your Wedding Day. It can be very difficult trying to decide what song to have. Some couples will go for a song that means something to them or reminds them of when they first met, others will love a song simply because the lyrics mean so much. It is a very individual choice and we have listed below popular songs requested for the First Dance which may help you if you are struggling to make a song choice. Of course, the list is endless! Don't forget - You can find Richie C Disco on Facebook and Twitter. Click on the links above and take a look! Don't forget to give us a "like" or "follow" whilst you are there! Have a great Fireworks Night everyone! Whether you are going to an organised event or having a few fireworks in your garden we wish you a good time and please keep safe. Do you have a special occasion coming up which you want to go off with a spectacular bang with all your family and friends having a wonderful time?! Booking a great mobile disco from Richie C Disco Services for any of your special occasions will ensure you have a good quality light show and sound system along with an experienced and reliable DJ. Wedding, Engagement, Golden Wedding Anniversary, Ruby Wedding Anniversary, Silver Wedding Anniversary, 70th Birthday, 60th Birthday, 50th Birthday, 40th Birthday, 30th Birthday, 21st Birthday, 18th Birthday, Sweet 16, Christmas Party, New Year's Eve Party, Corporate Event, Club Event, Themed Night, Fancy Dress Party, Kids Party, School Disco, School Prom, College Prom, University Prom and anything else you can think of! We are available 7 days a week for all of your mobile disco requirements all over Kent. Speak to Richard or Emma who will be very happy to help! Receive a 20% discount if you book your event on a Friday night! This great offer is available for a limited time only, so don't delay, give us a call or email us to go through your requirements to get a great deal. Happy Halloween from everyone at Richie C Disco. Hope everyone has a great and spooky time, whatever you are doing! Looking forward to our Halloween Disco this evening and seeing all the great costumes. Great time of year to take a look at the classic Michael Jackson "Thriller" video. Click on the link below to go straight to it on youtube..
We seem to be getting a lot of last minute enquiries in recent months from people who have sadly been let down. We are finding more and more that people have booked a disco without paying a deposit or getting any kind of contract or written confirmation from their selected mobile disco provider. They then suddenly get a phone call from the DJ saying they can no longer do the job with very little or no notice or even worse they just don't turn up and they are left making last second phone calls trying to get cover for their party..
At Richie C Disco we will ALWAYS give you a Guaranteed Booking Confirmation, we have DJs on standby in case of emergency situations and we also carry back up equipment. We pride ourselves in providing a professional and reliable service. Don't let price alone be the deciding factor when making a decision about which Mobile Disco Service provider to use. I know in these tough times that it is tempting to save a bit of money and go for the cheapest thinking that every disco you make an enquiry with is exactly the same. This simply isn't the case and it is therefore strongly advisable to also consider what is said and how reassured you felt when making your enquiry. You wouldn't book a holiday without paying some sort of deposit (to secure it for you) and without getting something in writing to confirm the booking, so don't treat booking a DJ any differently. We openly admit that there are many other disco services out there that are cheaper than us. All I can say in relation to our price is that it is still very competitive overall (mid-range) and it ultimately reflects that we have quality equipment, experience, reliability and most of all we are 100% committed to each and every booking made with us. 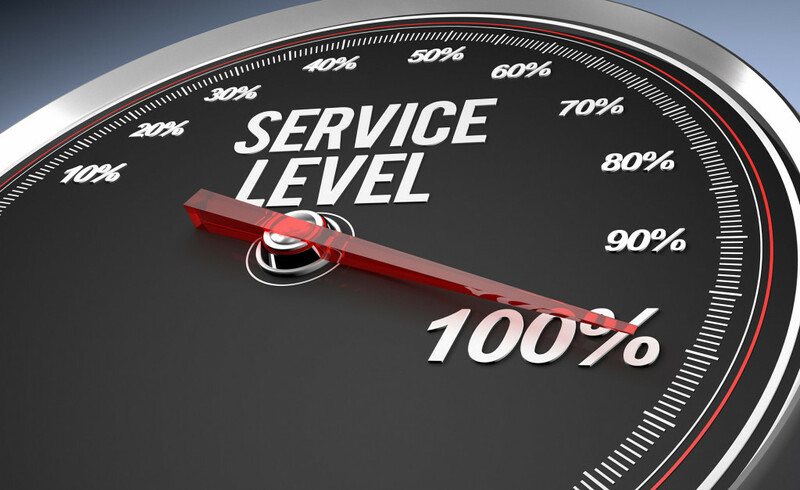 In fact when you use Richie C Disco Services you will be getting a premium rate service for a mid-range price which makes us excellent value for money! When making an enquiry for a mobile disco service it is advisable to have a chat and find out a bit more about the service offered. Tell them about your expectations for the evening. A good mobile disco service provider will listen and be interested and take the time to discuss your requirements in detail before giving you a price. Make sure you feel reassured by what you have discussed. The biggest reassurances should be that your DJ has experience, a quality and up to date mobile disco set-up and that your Booking is confirmed by them in writing. You are in safe hands when you book Richie C Disco Services for your special occasion or event. Don't hate us for mentioning it, but it cannot be denied that the countdown to Christmas already appears to have started with the supermarkets starting to put Christmas Cards and Gifts out on display! 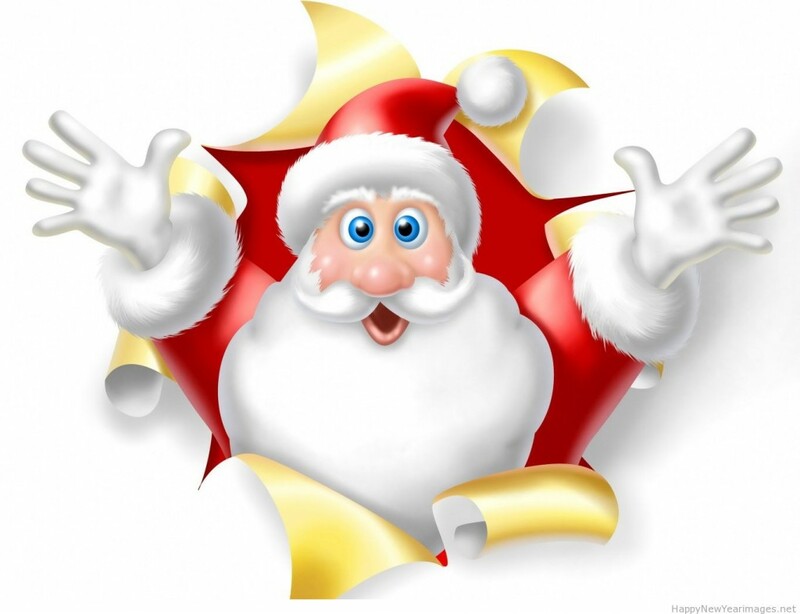 Christmas Party Season is a very busy time of year for a Mobile Disco Service provider. At Richie C Disco we can provide a great mobile disco for your Corporate Event, Club Event or family gathering all over Kent and the South East..
Maybe it is time to start thinking about the plans for your Christmas Party? It is sometimes good to get in there early rather than a last minute rush. Give Richie C Disco a call or send us an email to discuss your requirements. Today is the first World Pitt-Hopkins Syndrome Awareness Day! This is a subject very close to our hearts, as Richard Curtis (Owner of Richie C Disco) has a nephew with this condition. Are you currently planning your Wedding? Have you chosen your evening entertainment? Richie C Disco Services can provide you with a great Wedding DJ and Mobile Disco for your Wedding Reception. We have the experience and quality equipment to help make your Weddiing Disco a night to remember, for all the right reasons! We encourage you to send over a list of music requests in advance to make sure you get exactly what you want on your special day. We then build upon that to create the perfect playlist for you. We will of course take requests from your guests on the night as well. Even if you are thinking about booking a band, it is always worth considering having a disco as well. The disco can do the warm up before the band and fill the gaps inbetween their sets. The disco can also bring your night to an end.. Most bands will do 2 one hour sets, so a disco will keep the music going and the dance floor busy inbetween. Remember at Richie C Disco we issue you with a Guaranteed Booking Confirmation, we have Public Liability Insurance and our equipment is PAT Test Certified for your extra peace of mind. Does your child have a birthday approaching? Do they want to have a party with all their favourite music, a great light show and lots of fun games? Richie C Disco can provide a great mobile disco for your Kids Party in Kent. We can play a variety of games which the younger children love or they can just dance and enjoy the music with their friends - we will do whatever they prefer, it is their party afterall! Our aim is to have all the kids having a great time spending time with their friends and to leave the party talking about what fun they had. Contact Richie C Disco to get a quotation for our great Mobile Disco Service. Receive a discount for off-peak bookings. We can provide our service 7 days a week. Book us on any week day or on a Sunday for extra discount. Richie C Disco can provide a great mobile disco service in your area of Kent and the South East. We guarantee a quality and reliable service. We have the best Party DJs and Wedding DJs with the experience to ensure you night is a huge success. 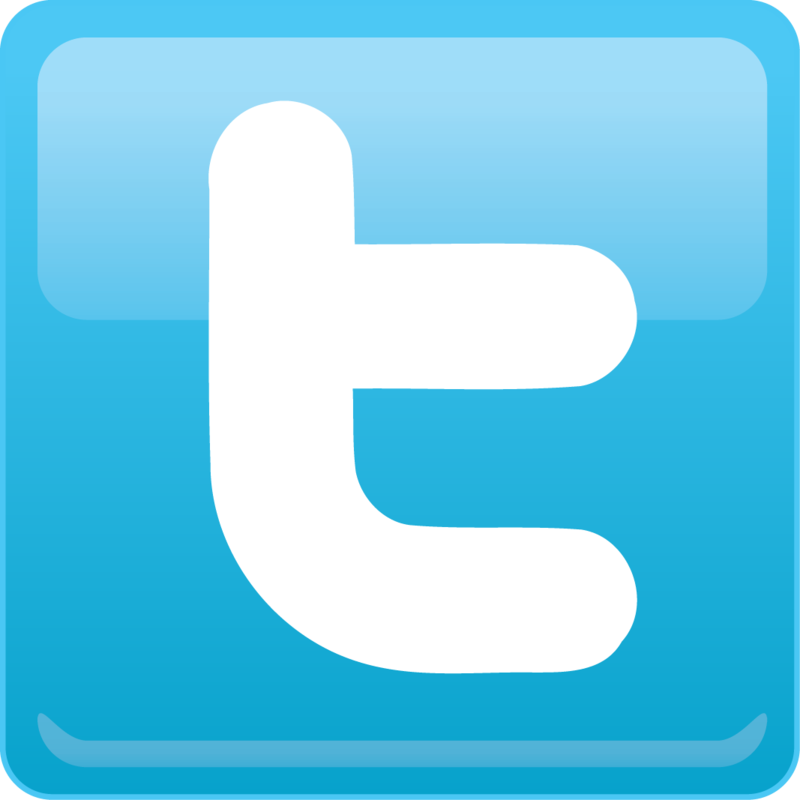 Find us on facebook and twitter - give us a like or follow! Just click on the icons below to go directly to our page. We have just had another busy and successful weekend providing our Mobile Disco service throughout Kent! We have provided are services for Weddings & Birthday Celebrations this weekend. Remember Richie C Disco can provide a great Mobile Disco Service for any of your special occasions. We love what we do and take great pride in providing a quality and reliable mobile disco service. What a great reason to celebrate? Do you have a birthday or special occasion coming up over the holidays! The summer is the perfect time to have a fun filled party. Perhaps your Club or Group has a Summer Event? Does your child want to have a great party to celebrate their birthday? Do you have an Anniversary or Engagement to celebrate? Are you getting married? Contact Richie C Disco Services for the very best mobile disco and DJs. 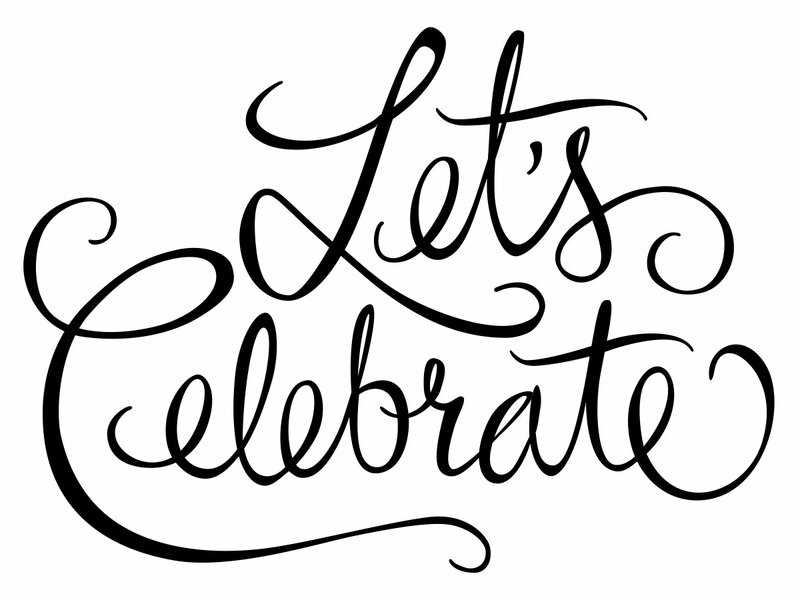 We will help make your celebration extra special! Are you off to any Summer Music Festivals this year? Of course, Glastonbury is the Mother of all Festivals and always has a massive and great line up. Headline Acts: Artic Monkeys, The Rolling Stones and Mumford & Sons. and much, much more - this is just the tip of the iceberg! Don't forget Kent also has its own selection of Music Events. Are you a member of a Club or Group? 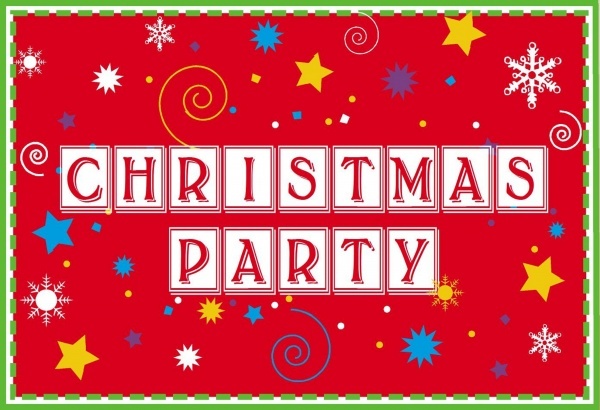 Do you have a annual Summer Party or Christmas Event? Richie C Disco can provide a great DJ and mobile disco for your event. We can cater for all age groups and musical tastes. Our quality equipment and experienced DJs will ensure you have a successful night. Why not give us a call or send an email to go through your requirements. Make the right choice and contact Richie C Disco now! Richie C Disco can provide a great mobile disco and DJ for your School or College. Do you have an end of term School Disco or School Prom/College Prom? We can provide a great mobile disco covering all over Kent and the South East. There is no substitute for experience! Make sure the DJ you choose for your special occasion or event has the previous experience to ensure your event runs smoothly. A quality and reliable set-up is important, but the DJ equally plays an extremely important role in the success of your evening. When making an enquiry ask about the DJs previous experience and what type of functions and events they have previously provided services for. How long have they been a DJ? A good DJ will ask you all the right questions and show an interest in your event to make sure you get exactly what you want. Their experience is your way of ensuring you have a night to remember - for all the right reasons! At Richie C Disco we encourage you to send over a list of Music Requests in advance of your event to make sure you get exactly what you want. We use your list as a guide to see what you do and don't like and then build upon that to create the perfect playlist for you. It is your night and we want to make sure you get what you want. Music plays a vital role in the success of your evening - the combination of your music requests and our experience will ensure you have a great night! Riche C Disco has many happy customers. Read some of our Testimomials below. Don't underestimate the important role your Weddinig DJ will play in the success of your Evening Reception. Take the time to carefully select a disco provider that has an experienced DJ, quality equipment and cares enough to make sure you get exactly what you want on your special day. It really does make sense to take the time to do your research in this area to make sure you get the best possible service and reliability. Don't let price alone be the deciding factor. Take a look at our Article "Getting the best Wedding DJ for your Special Day in Kent"
A big part of your Wedding Day is the Evening Reception. A common concern is making sure your evening entertainment is reliable and able to offer you a professional and quality set up to impress all your guests and make it memorable for all the right reasons. A Wedding DJ's role is extremely important and it is crucial that everything is discussed prior to your big day to ensure all runs smoothly and is in line with your hopes and expectations for your special day. There are various things that you should consider when selecting your Wedding DJ. It can be very difficult and overwhelming as there are often so many to choose from. A good starting point is to do some research and take a look at a few of the websites of Professional Disco Services in your area. Also consider any weddings you may have been to previously as a guest and think about what you did or did not like about the Wedding DJ. When making your initial enquiry, do not just ask the DJ about how much they are going to charge you. Go into detail with them about the service they offer and what you would like for your day. A good Wedding DJ will be happy to discuss in detail your requirements and if needed should be willing to meet up with you prior to your big day to go through everything. Think about the sort of music you would like and your first dance. Consider whether you would like any additional areas to be covered such as background music during your Wedding Breakfast or a sound system with a radio microphone for the speeches. A good Wedding DJ should be able to organise whatever you need. Far too often people will just contact a selection of DJs to ask what they charge and then just go for the cheapest thinking that all Wedding DJs are the same. This is certainly not the case and this really is not a recommended way of selecting your DJ and should be avoided wherever possible. It is very true to say that you get what you pay for, so try not to let the price alone be the final deciding factor. Obviously, it is also true to say do not just go for the most expensive thinking that they are going to be the best. The crucial factor in making your final decision should be to take into account how impressed you were when making your enquiry and how pleased you were with the responses you received. Do not be afraid to ask as many questions as you like. It is your day after all and a good Wedding DJ will take the time to discuss everything in detail to ensure you are completely happy. The experience of a good Wedding DJ is crucial in ensuring that you have a night to remember. Build up a relationship with your Wedding DJ and take their advice when necessary. An experienced DJ will have previously provided their services for possibly hundreds of other happy couples and this alone will help ensure that you are in good hands. By considering the guidelines above, you should have no problem when selecting your Wedding DJ. Contact Richie C Disco now to discuss your requirements! With 25 years experience you will be in safe hands. At Richie C Disco we pride ourselves in providing a quality and relible Wedding DJ and Mobile Disco Service for Kent and the South East. Make the right choice, contact Richie C Disco today. The sun and warm weather is starting to make an appearance - hooray!! 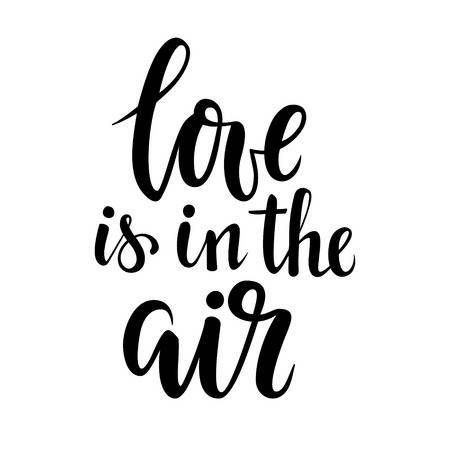 With all the Weddings we have booked all over Kent in the coming months, we truly hope that we are due for a beautiful Summer. 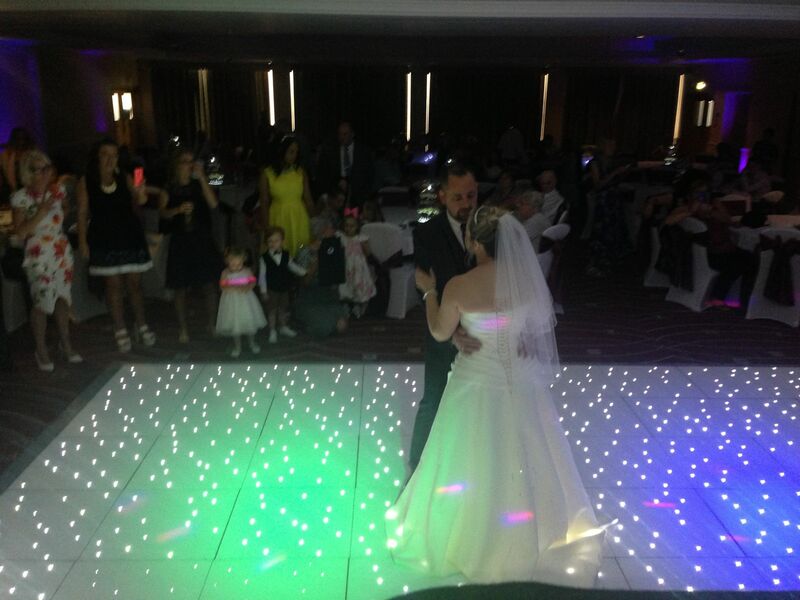 Richie C Disco has provided a great Wedding Mobile Disco Service all over Kent and the South East. Kent really does have some truly beautiful places to get married and we are lucky to have provided our Wedding DJ Service at so many of them. We are looking forward to all the Weddings we have coming up throughout the summer months. A great mobile disco with an experienced DJ is perfect for your Corporate Event in Kent. Background music can be provided during your meal, radio micrphones can be provided for presentations and speeches. We don't just have to provide the disco. A good disco service provider can play an important part in the success of your evening, helping with annoucements, finishing touches to your venue, such as mood uplighting and dance floors etc. A good DJ will run through everything with you in advance to make sure you get exactly what you need for your Corporate Event. Kent has some wonderful venues to host your Corporate Events. If you are having a party in Kent and need a great mobile disco, contact Richie C Disco for a quotation! We won't be beaten on quality and reliablity. Go on, give us a try - you won't be disappointed. Ant and Dec are at Number 1 in the singles chart with "Let's get ready to Rhumble" following their recent live performance of the track on Saturday Night Takeaway. This success comes 19 years after the song was originally released as PJ and Duncan reaching number 9 in the singles chart. Ant and Dec are over the moon with the success and will be donating the profits from the single to charity. After 10 years together and reaching the end of their tour, Girls Aloud have announced that they are to split. A tweet from the band last night said: "We have now come to the end of our incredible time together." Well done to Adele on winning the Oscar for Best Original Song with Skyfall. This is the first Oscar for a Bond Theme. The Bond Movies celebrated their 50th Anniversary last year..
Have you been hit by the "Harlem Shake" bug yet?! This electro track has created an online dance craze. Take a look on youtube and see all the mad dance antics which are taking place when the chorus kicks in! Harlem Shake by Brooklyn DJ Baauer entered the UK Chart at number 3 this week. Today marks the 50th Anniversary of The Beatles Album Please Please Me. The Liverpool band recorded almost all of the record in one day-long recording session on 11 February 1963! You can find Richie C Disco on Facebook and Twitter. Make sure you get a Contract or Guaranteed Booking Confirmation from your Mobile Disco provider. If you have paid a deposit you need something confirming in writing that your DJ is booked and will turn up as agreed. Don't leave anything to chance! The Brits will be held at the London O2 Arena and hosted by James Corden. Book your Kids party on a Saturday afternoon or Sunday to get a much cheaper off peak rate for your mobile disco. This is a great way to save a bit of money if you are on a tight budget. One Direction are to record the Red Nose Day official single this year. The single is "One way or another" an original hit for Blondie. One direction are due to perform the single for the the first time at this years Brit Awards. Check your DJ has Public Liability Insurane and their equipment is PAT Test Certified. Many venues now require these to be issued prior to your event so make sure your DJ is able to issue them on request. To get what you really want for your party, send your selected DJ a list of your favourite tracks in advance of your event to make sure they are included in their playlist. Make a list of what you want to check with your mobile disco before making an enquiry with them. Don't just ask about price - ask about the service they offer and what you get for your money!